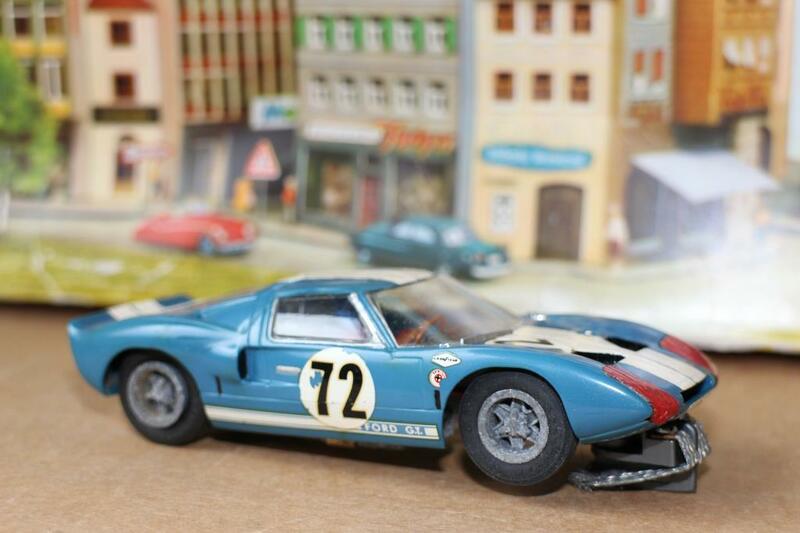 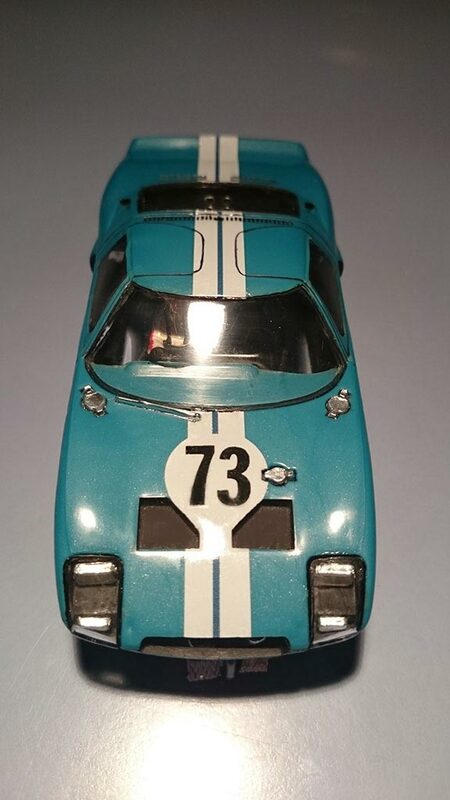 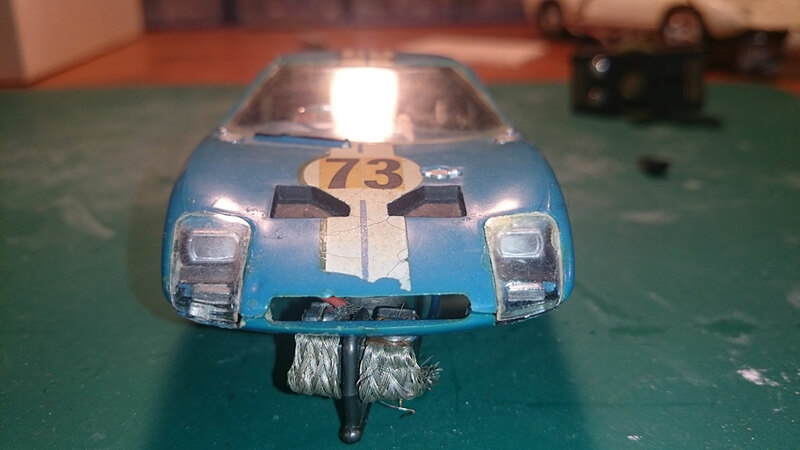 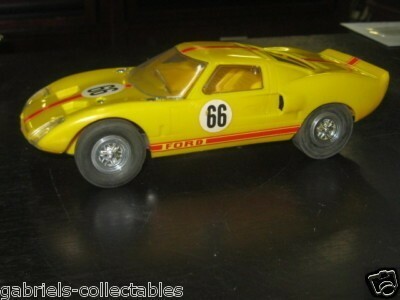 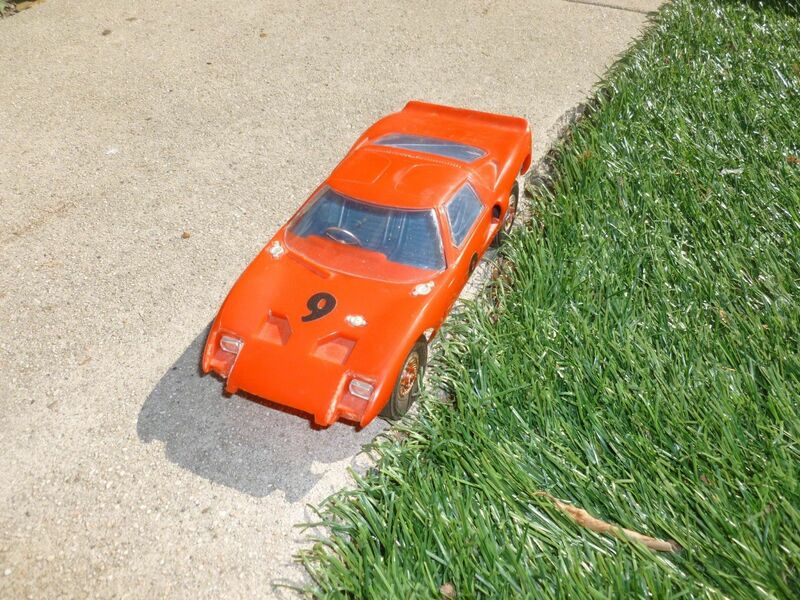 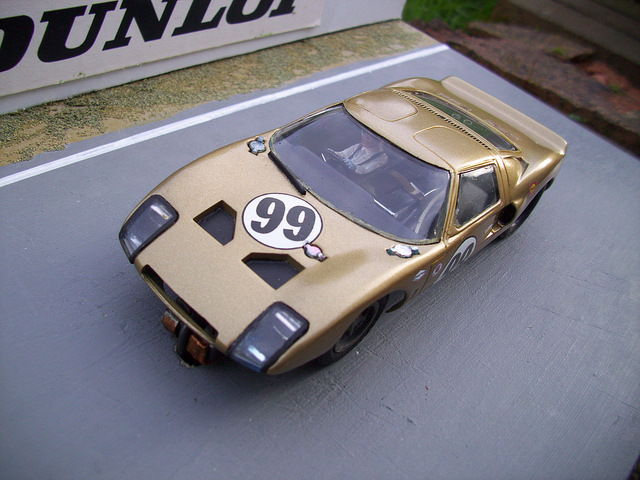 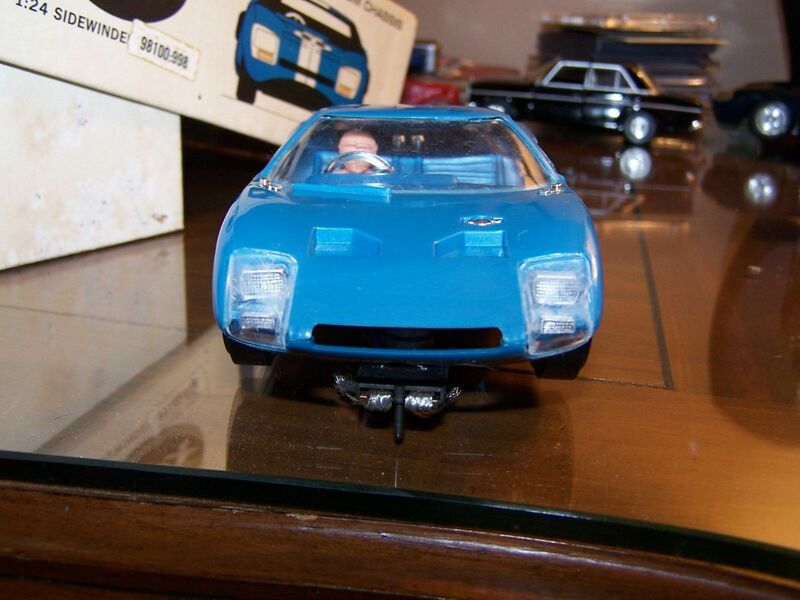 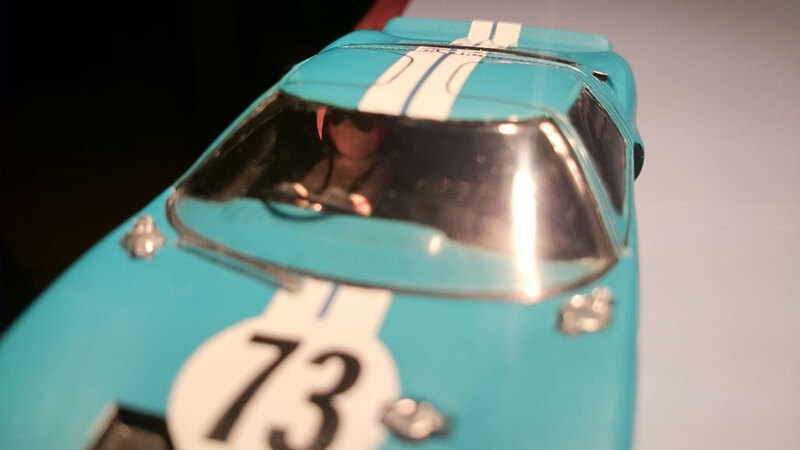 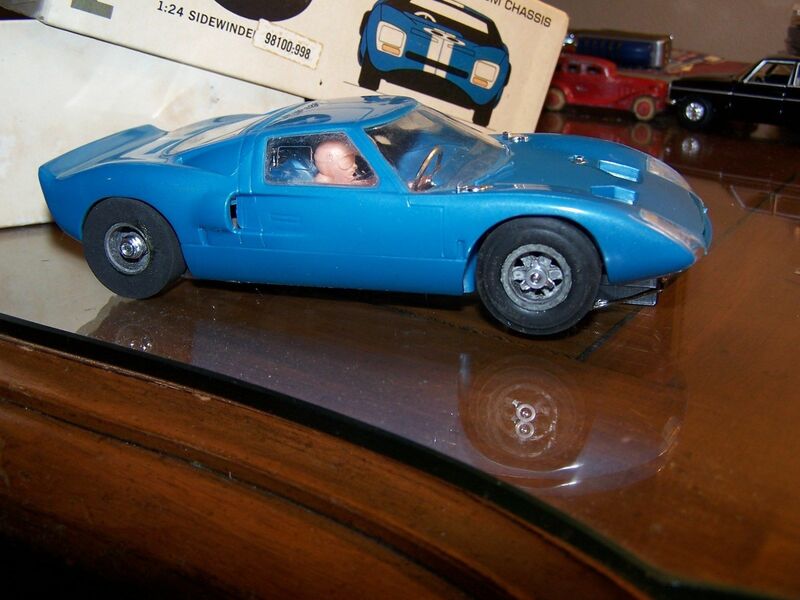 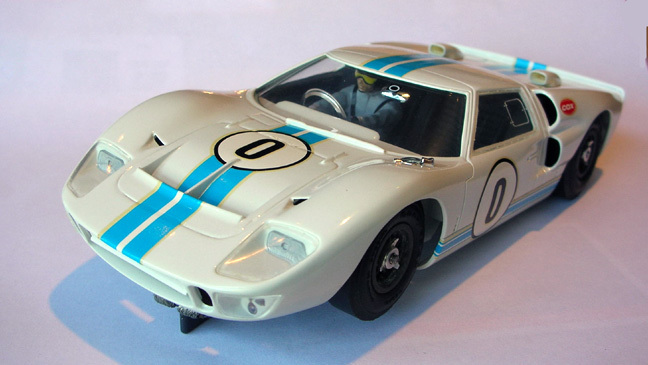 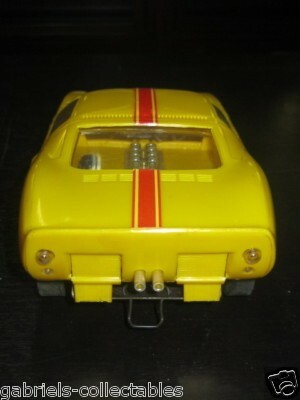 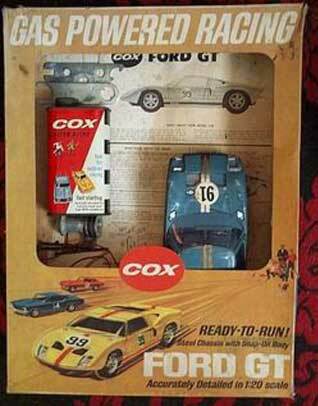 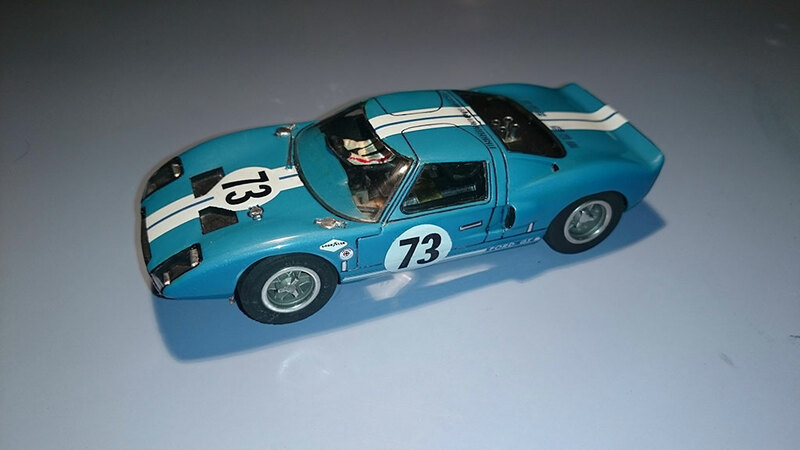 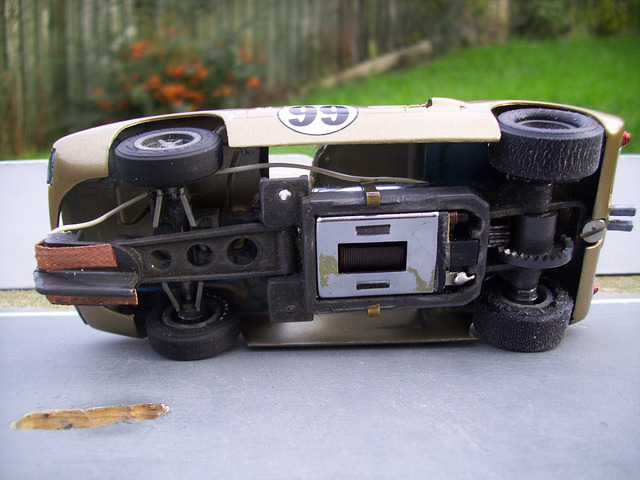 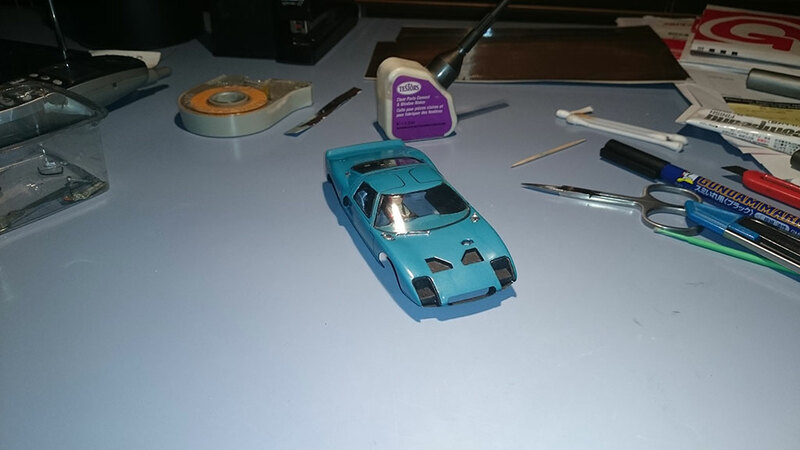 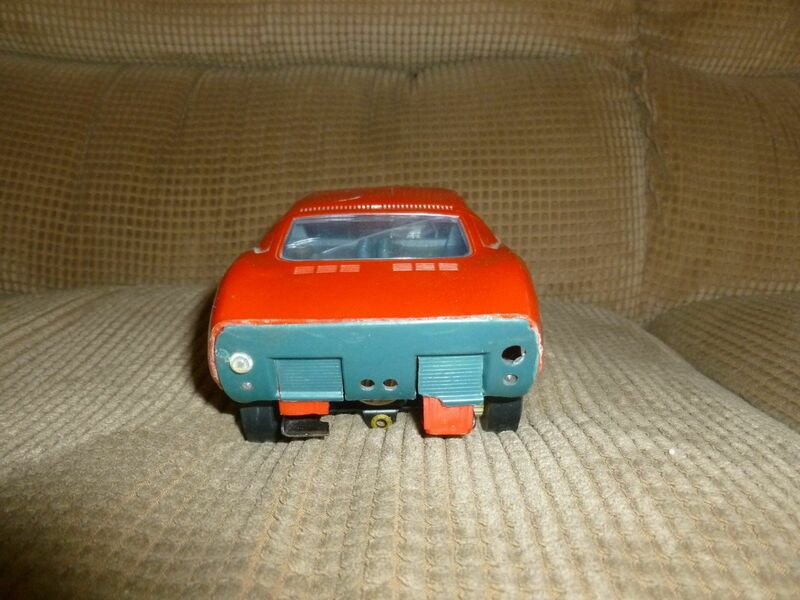 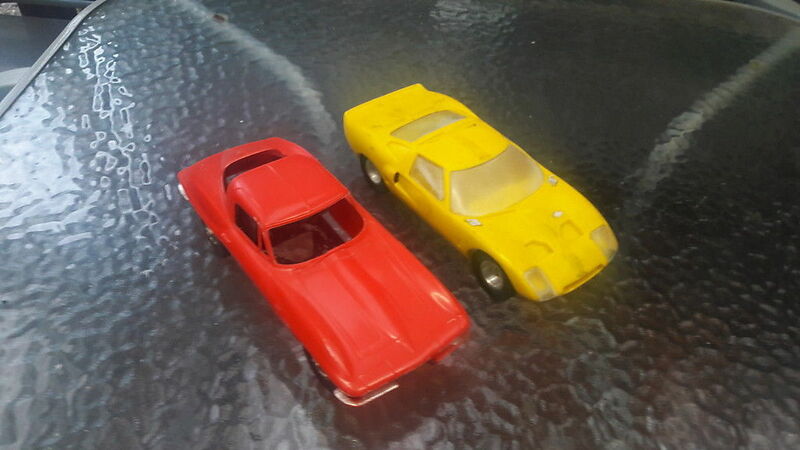 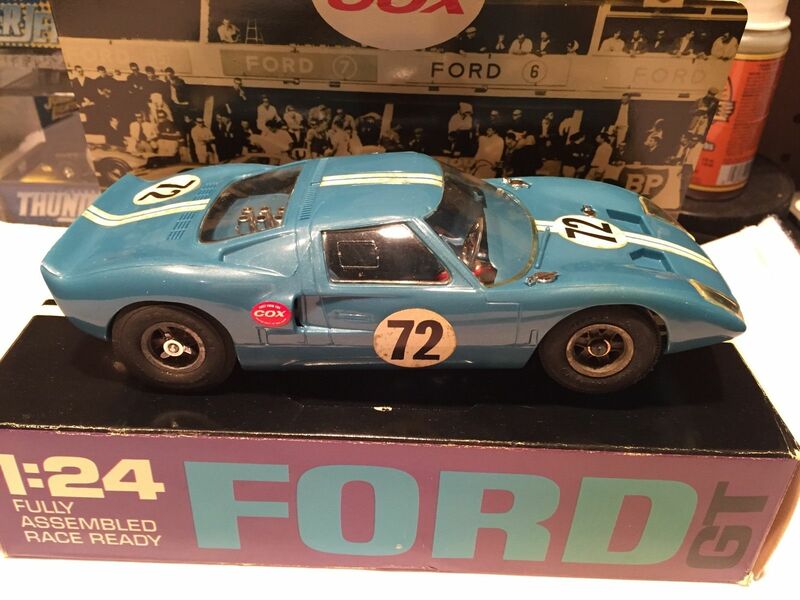 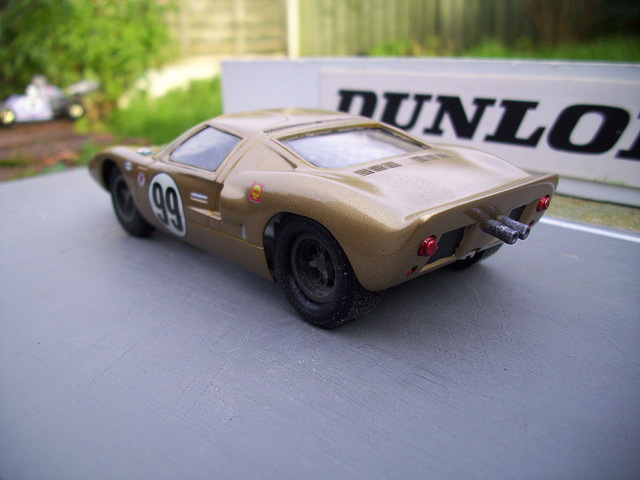 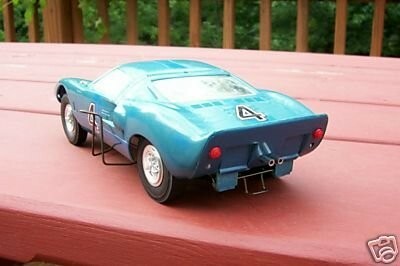 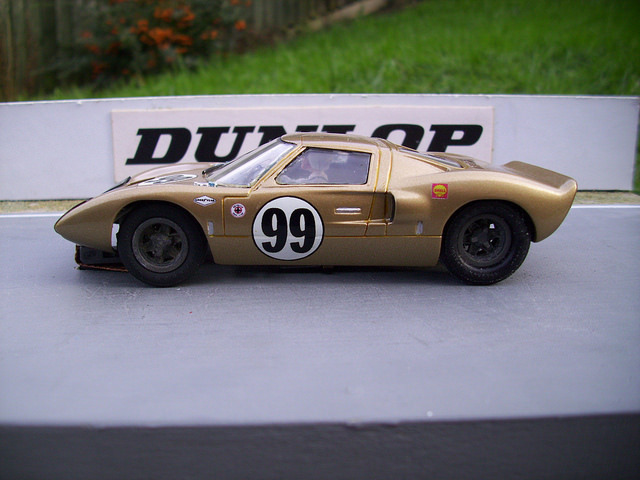 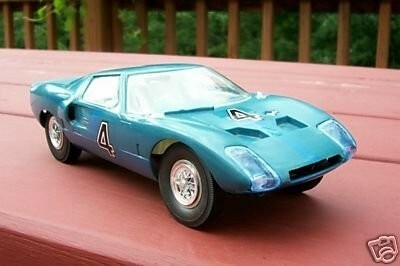 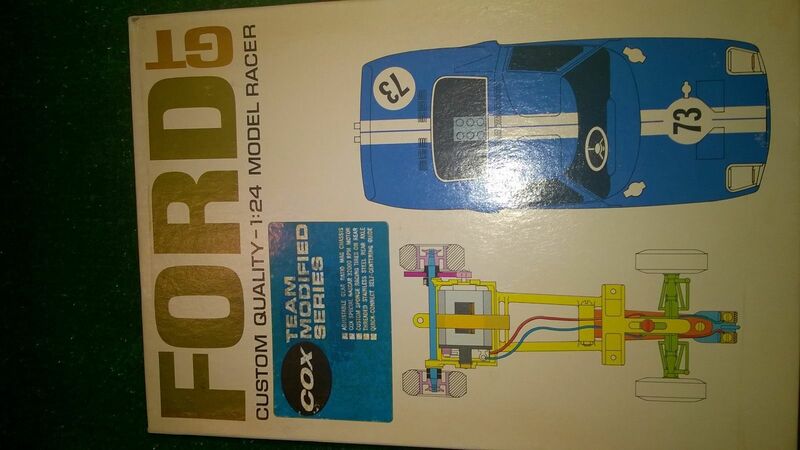 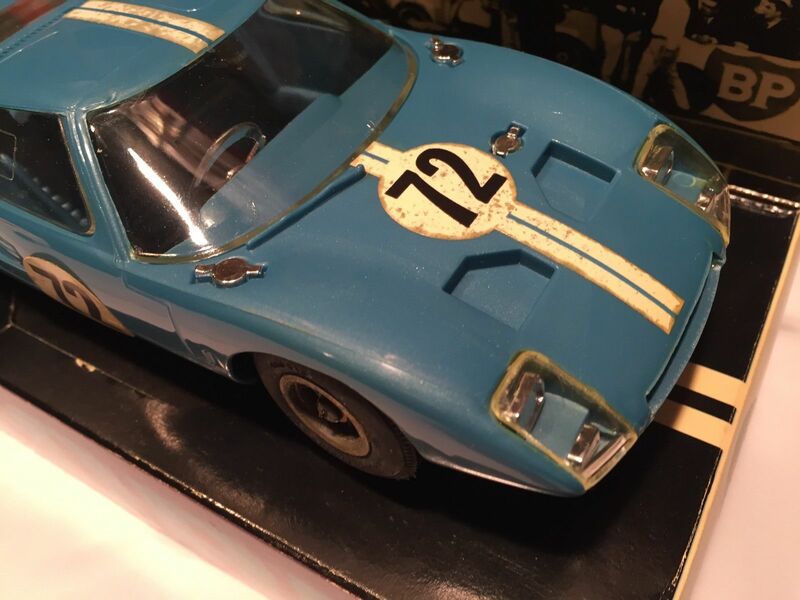 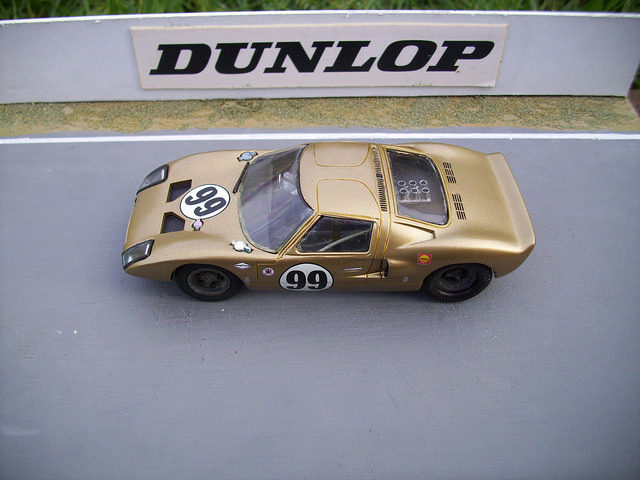 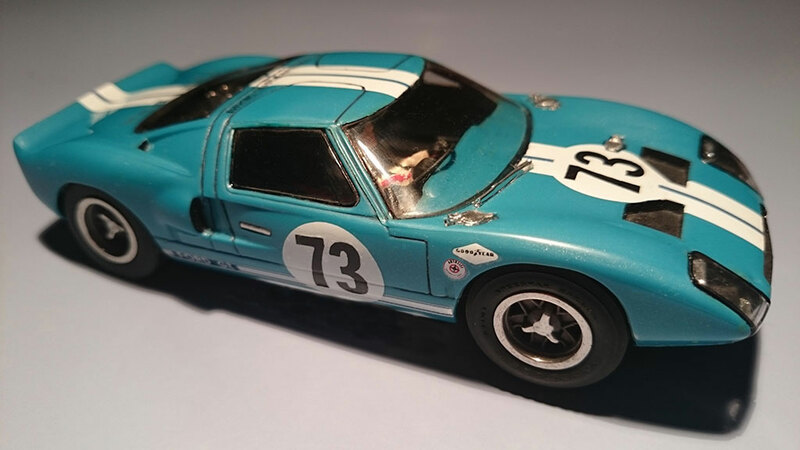 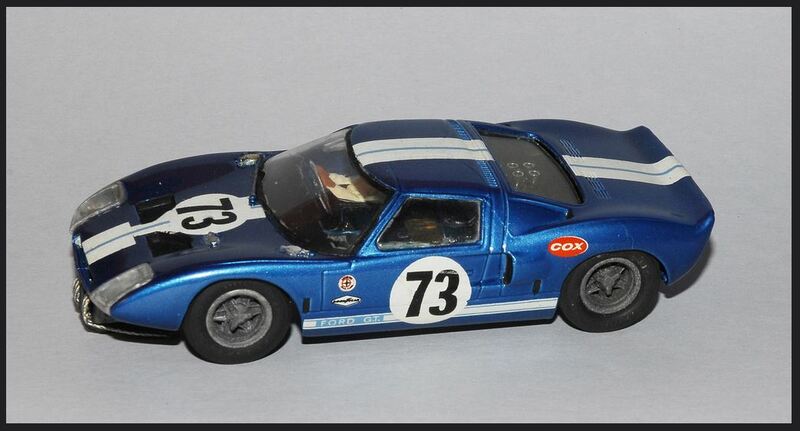 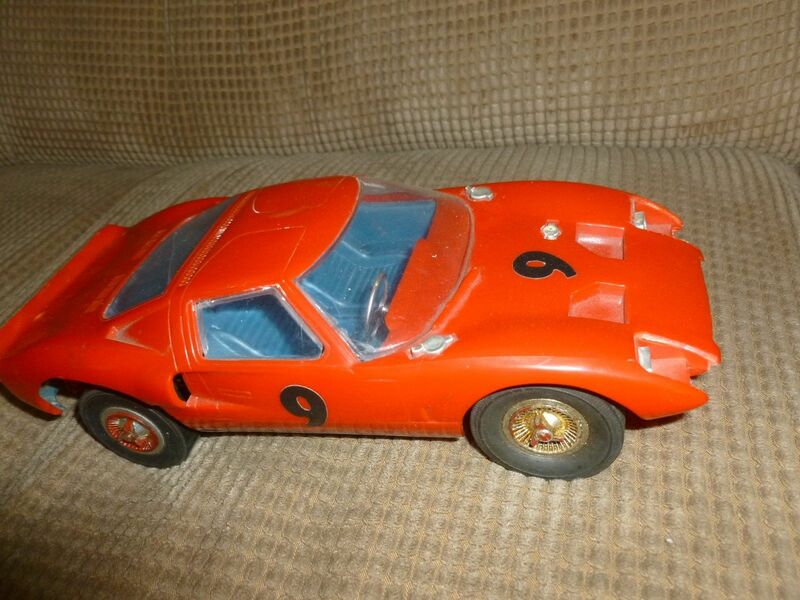 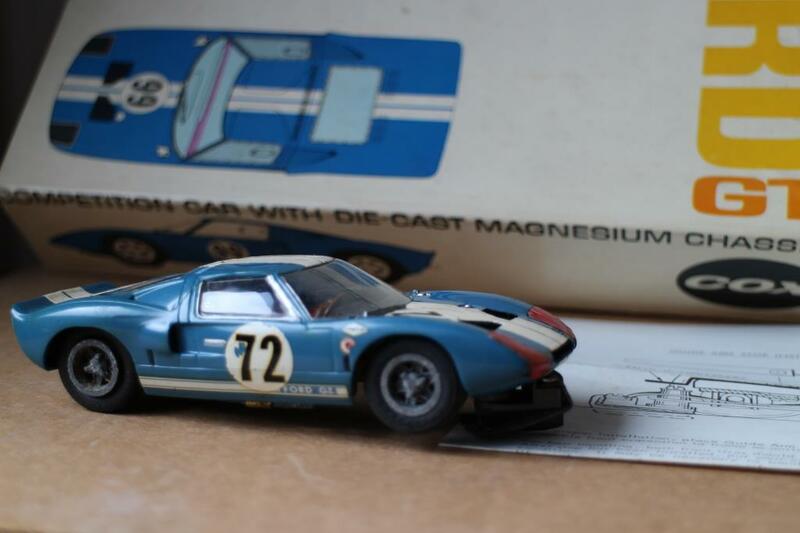 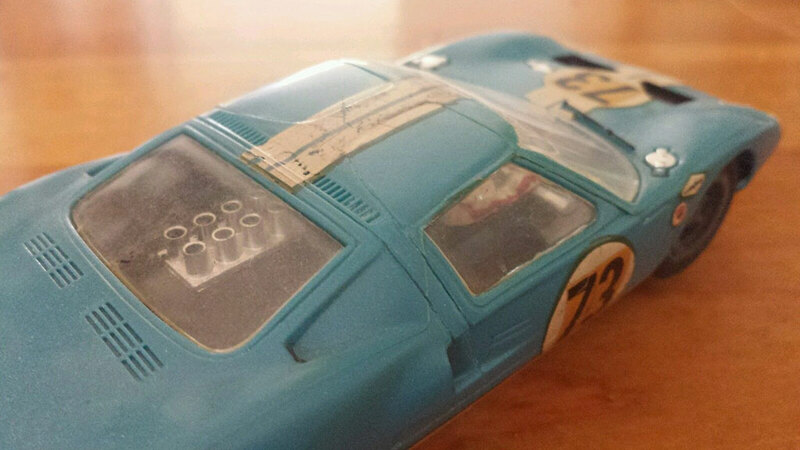 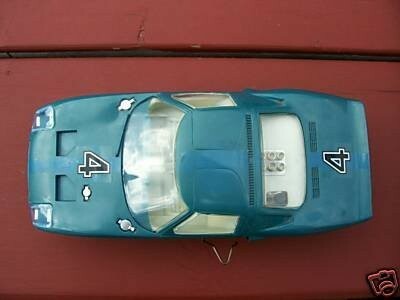 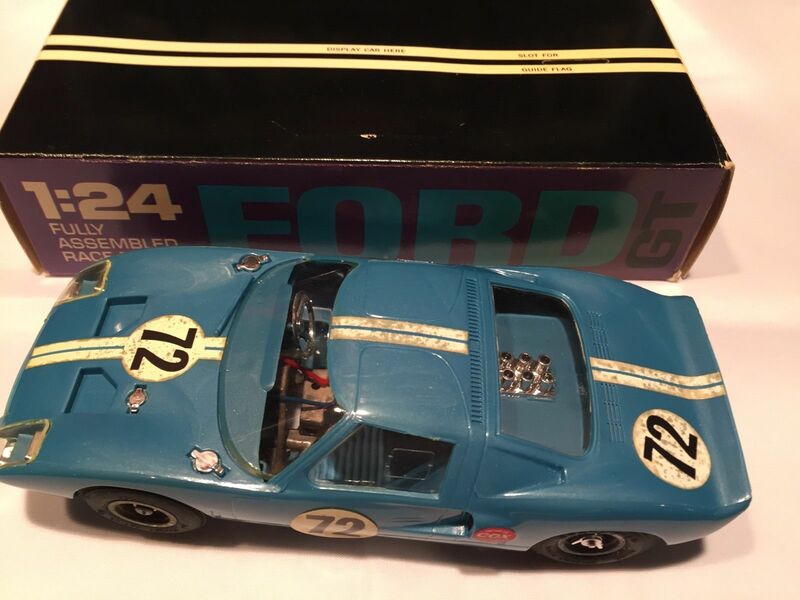 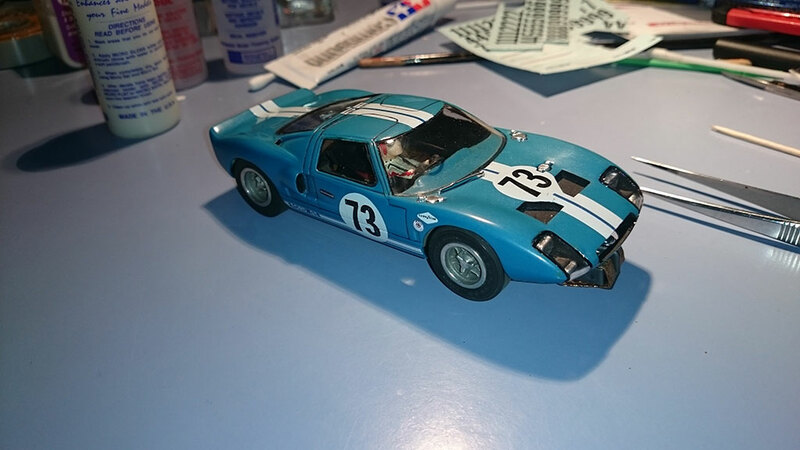 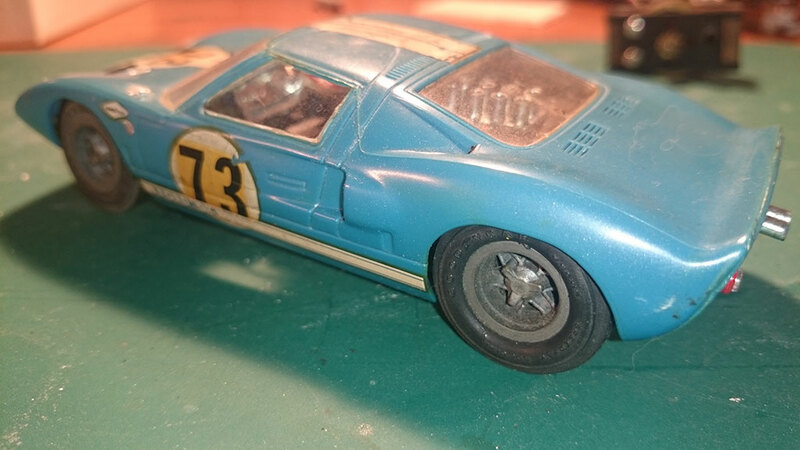 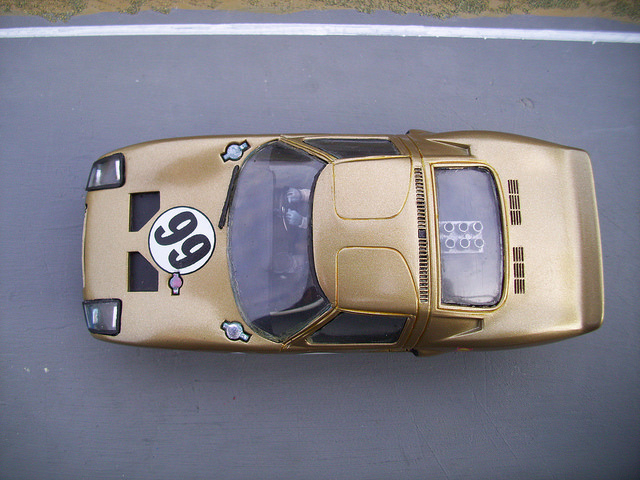 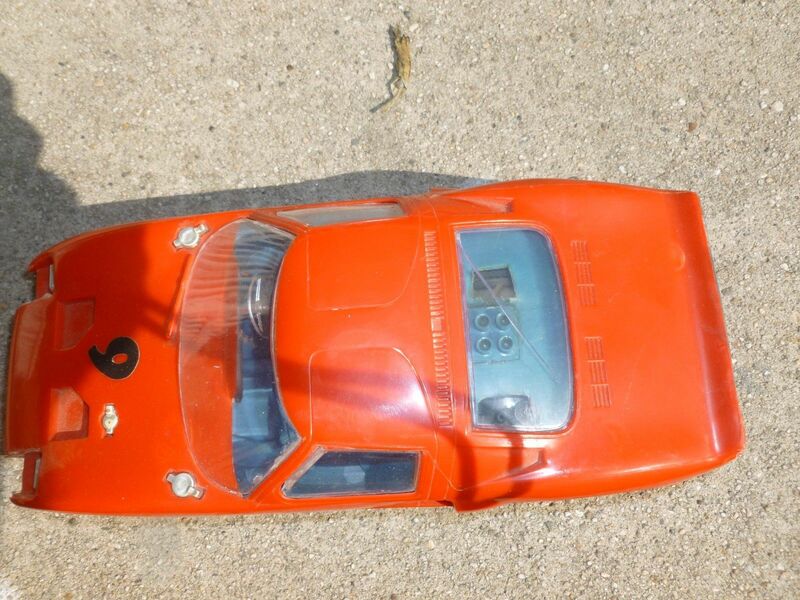 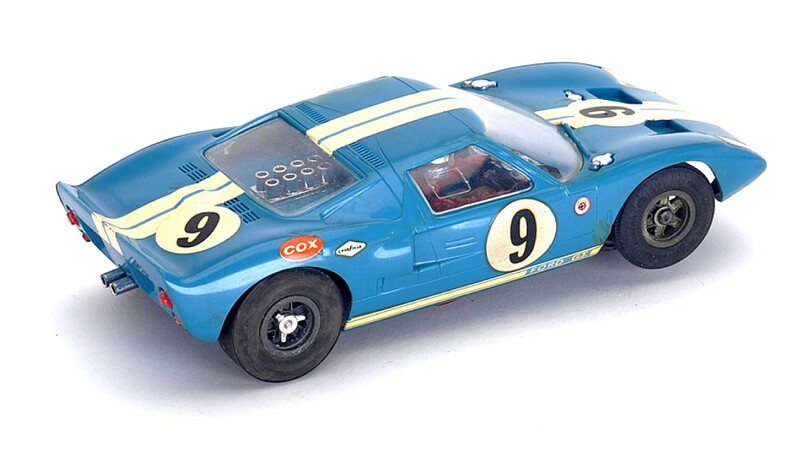 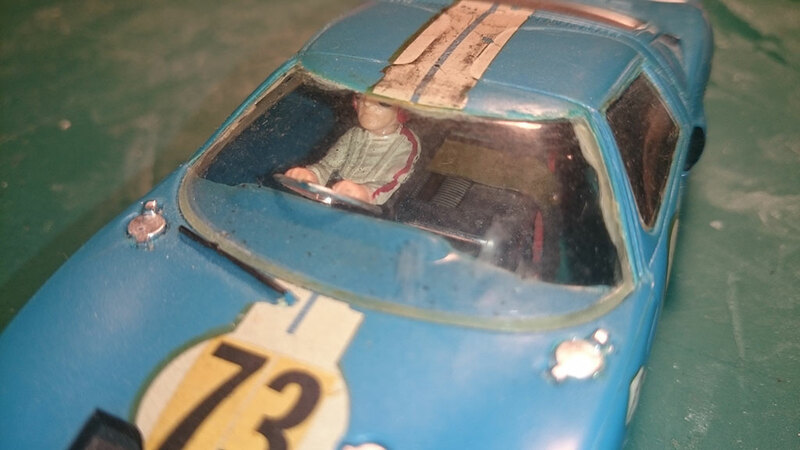 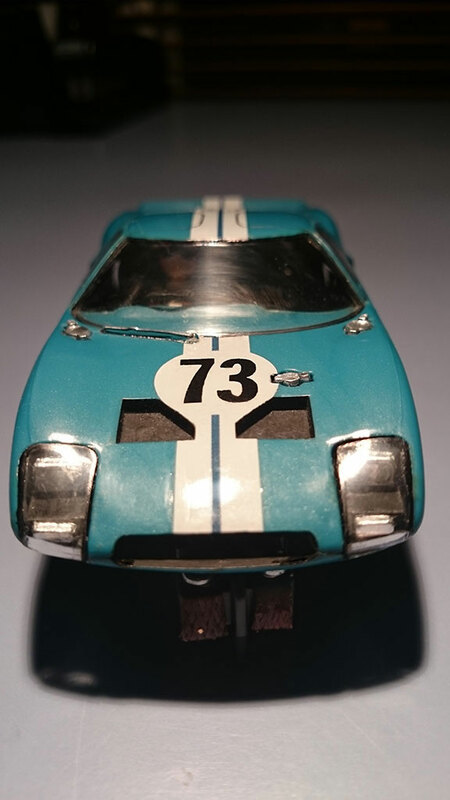 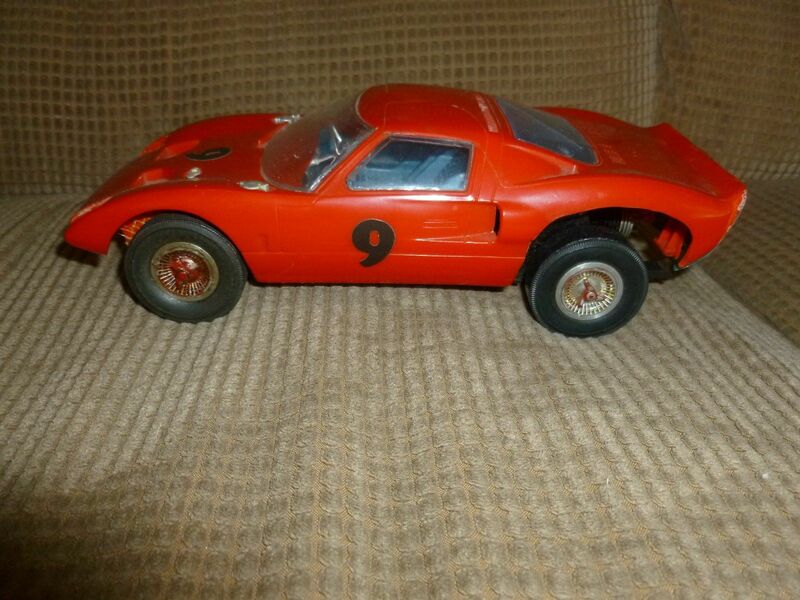 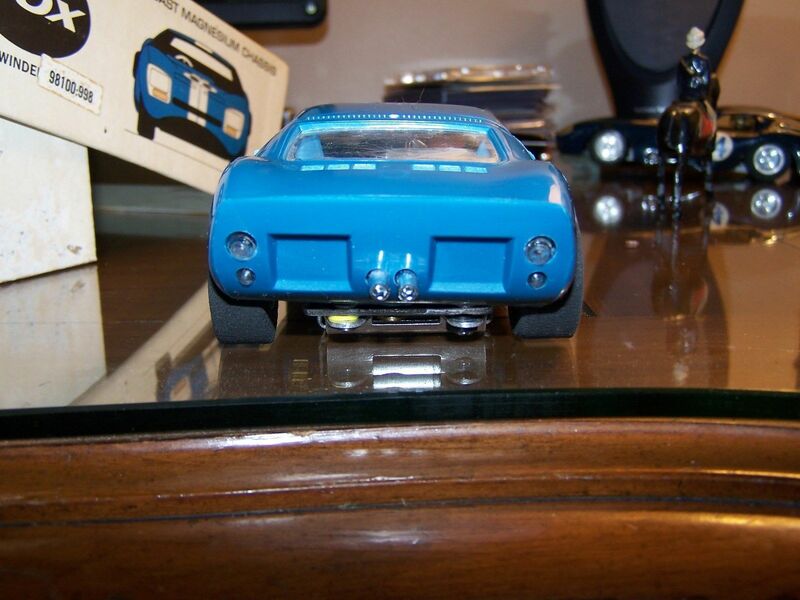 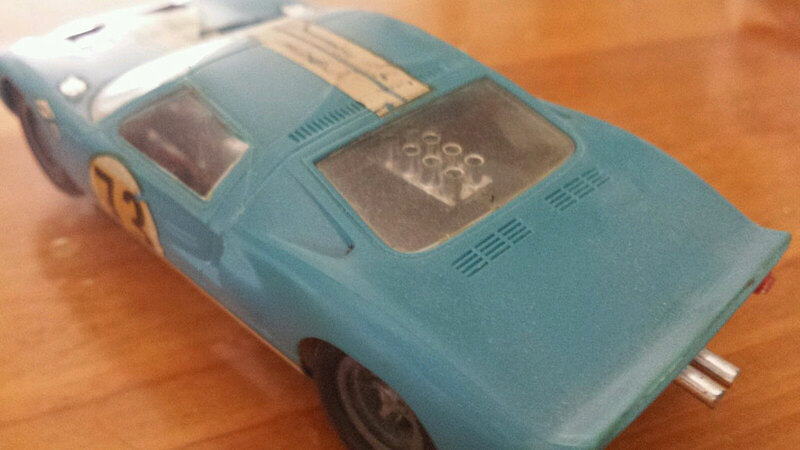 Arguably one of the most commonly known vintage slotcar names from the 60s is Cox. 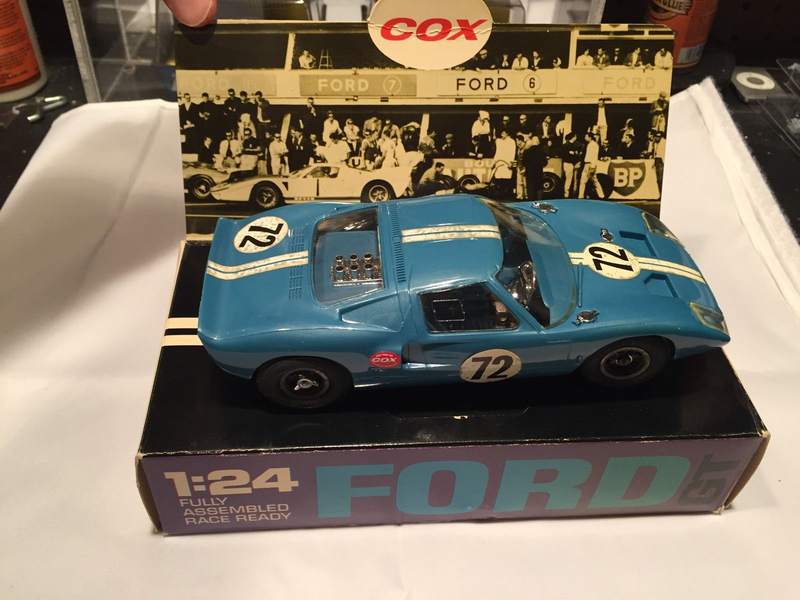 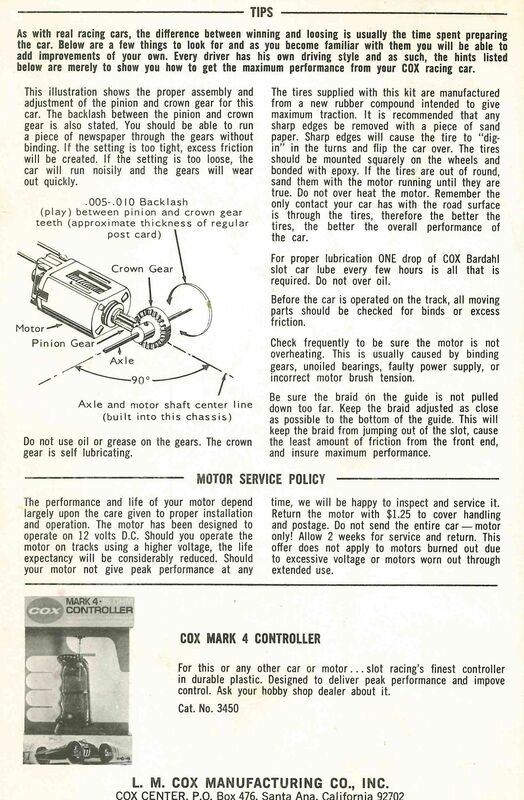 Cox models was a multi-million dollar hobby company and one of the hobby industries oldest and it was well known for its production of model internal combustion engines and control line model airplanes. 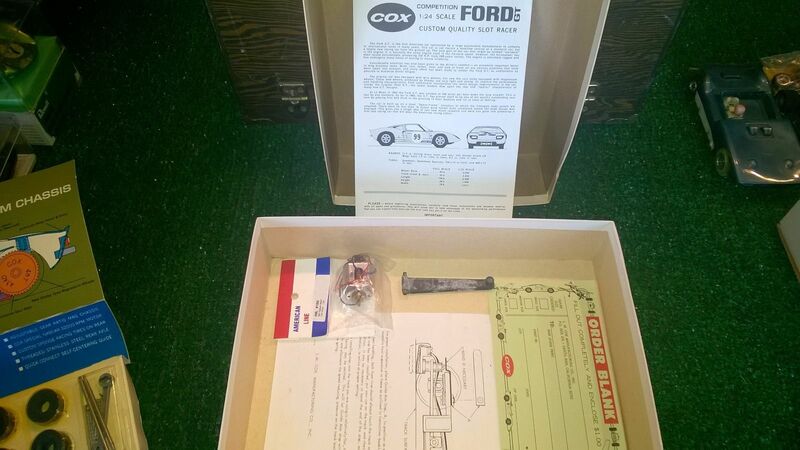 Originally named The L. M. Cox Manufacturing Co, Inc., it was founded in 1945 by the machinist Roy Cox in Placentia, California. 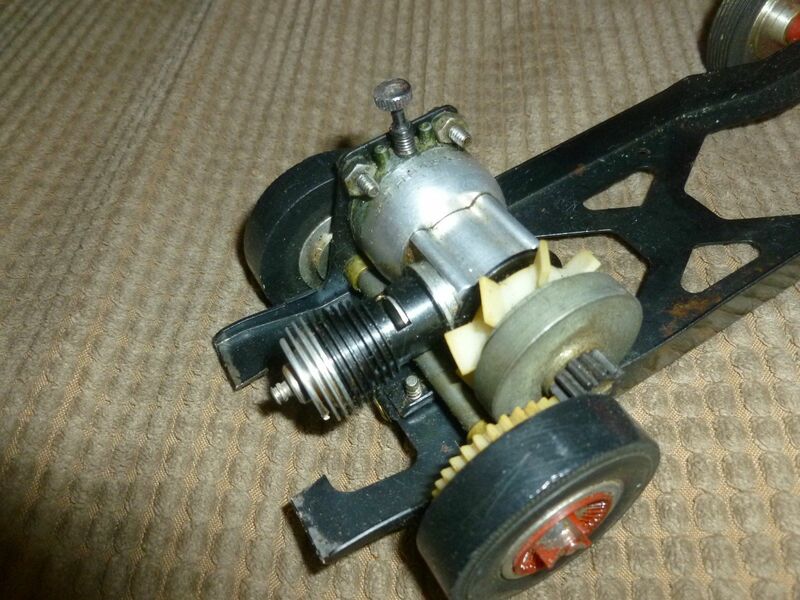 Roy grew up in and around his father's bicycle shop and developed a keen interest in mechanical devices. 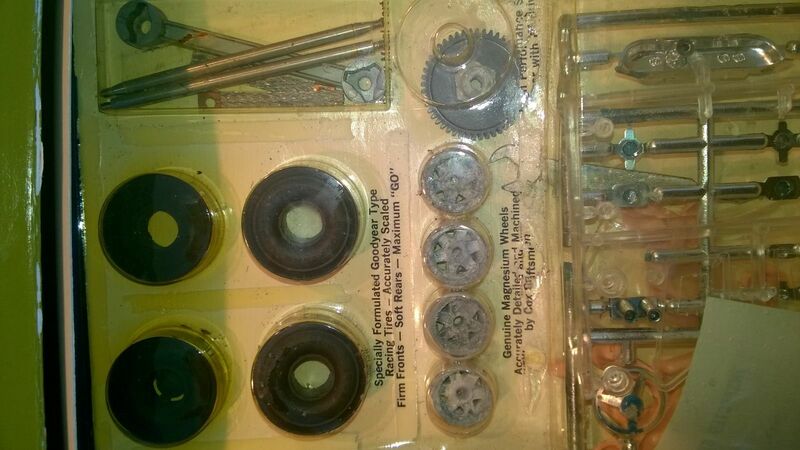 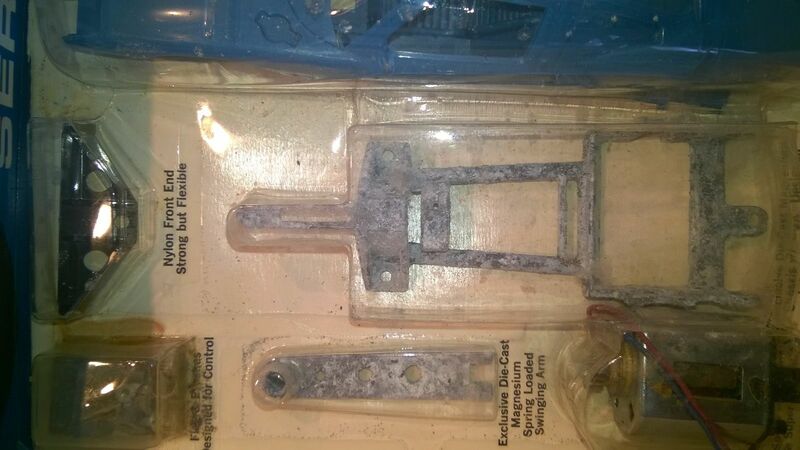 Roy's first products were wooden pop guns, produced in his home garage. 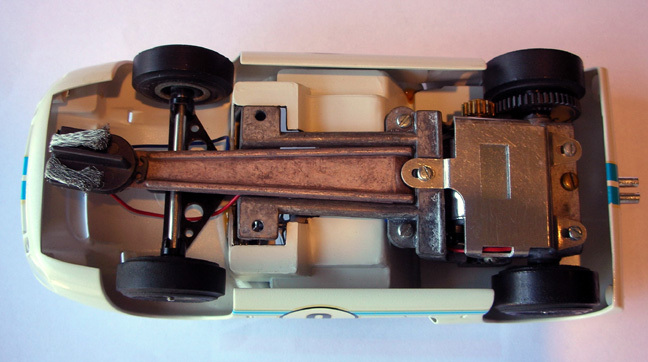 Wood was chosen as the basic material as metal was scarce due to the war (WW II). 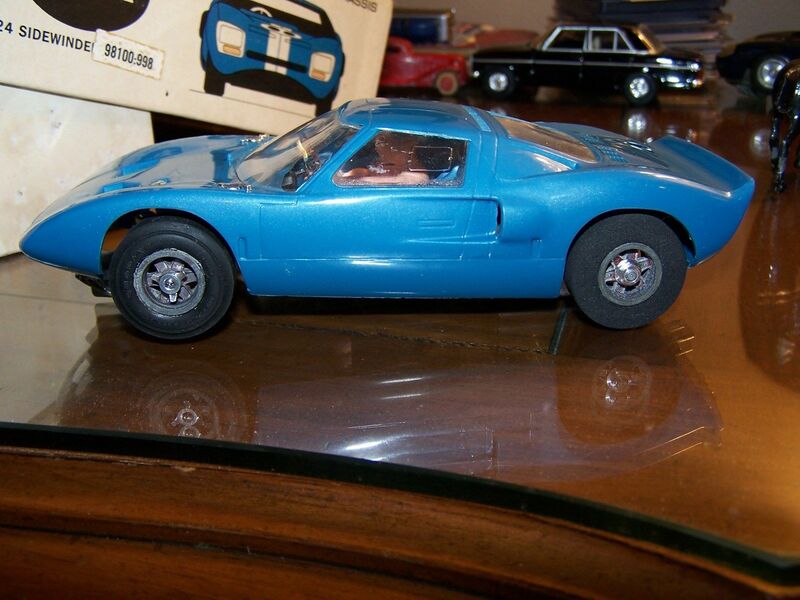 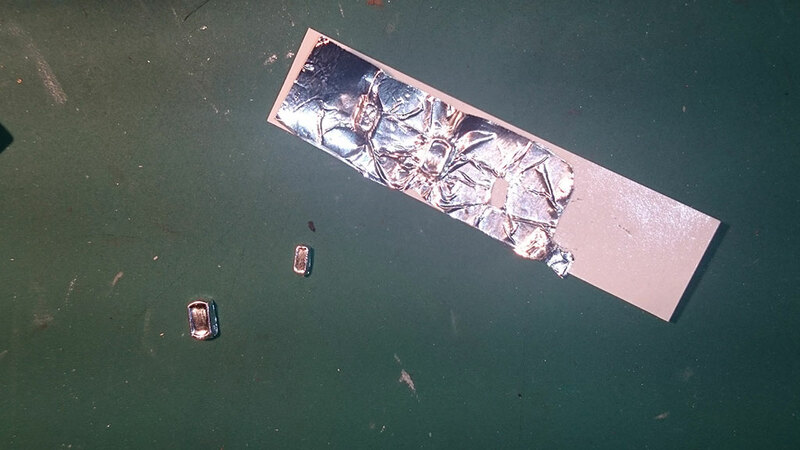 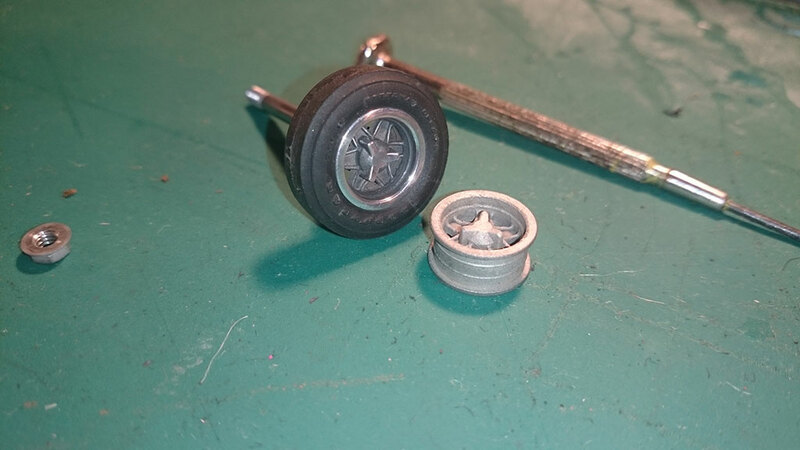 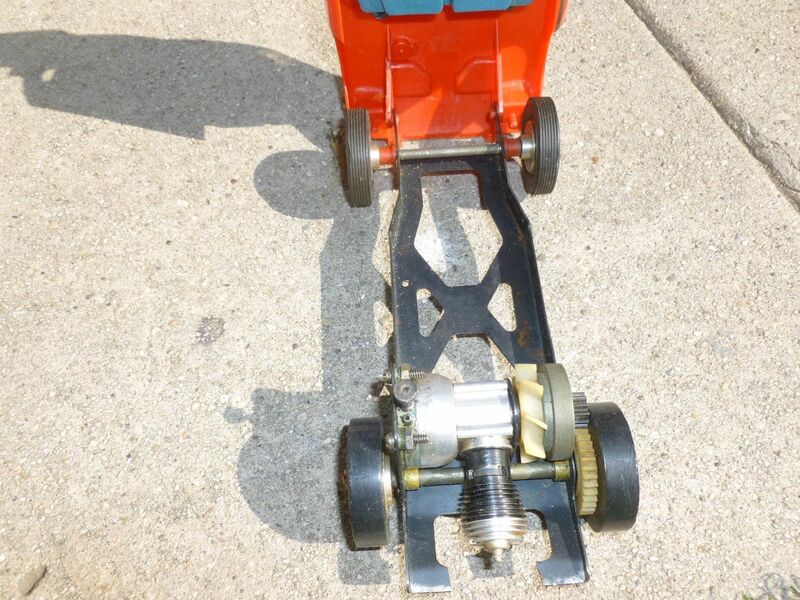 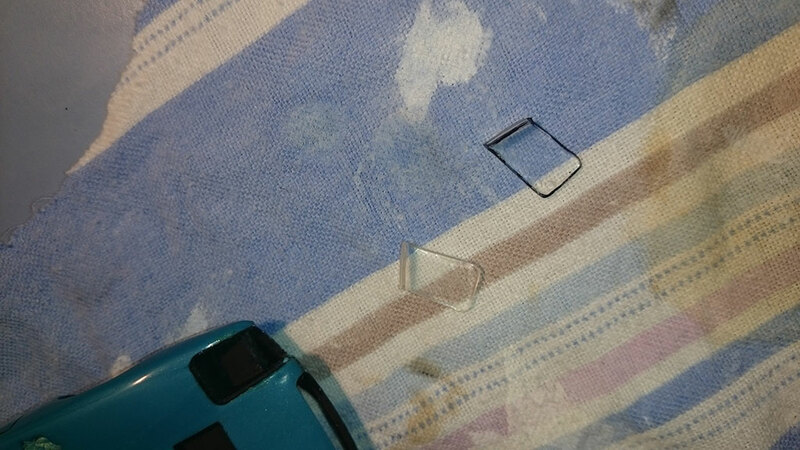 As metals became readily available Roy began to develop new products beginning with a diecast metal car. 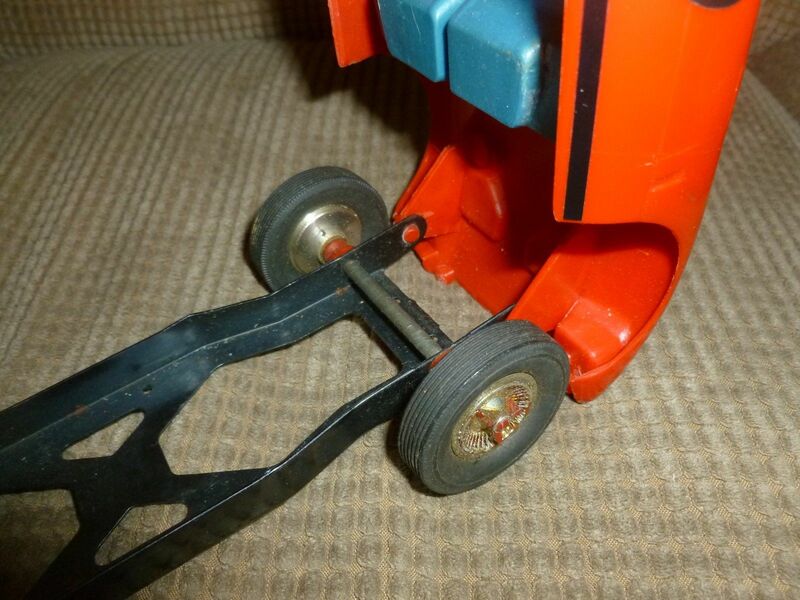 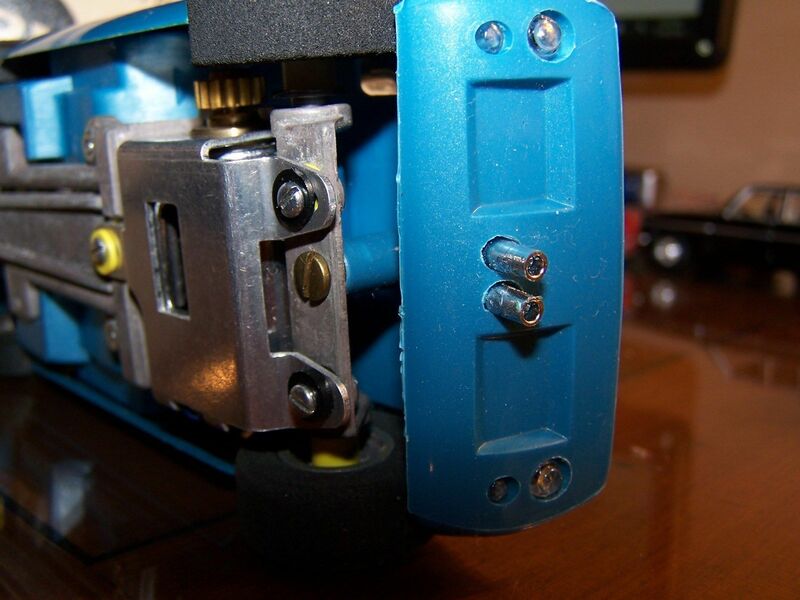 From this humble beginnings a tethered car was developed which could be driven in a circle at speed. 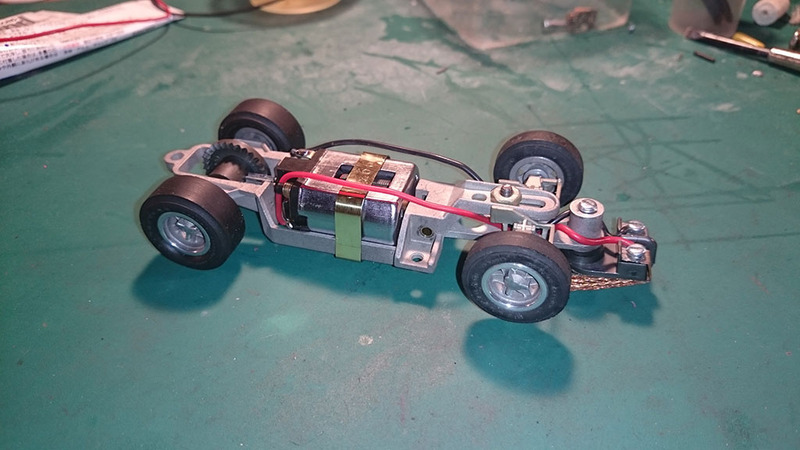 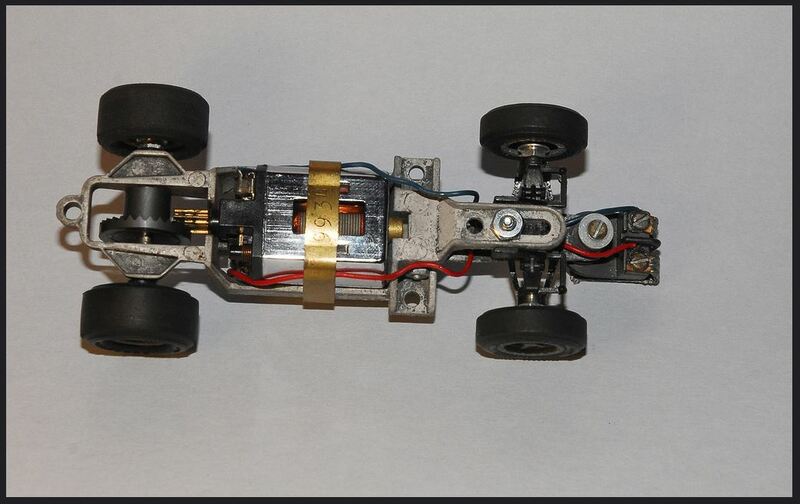 Tethered cars powered by a Nitro and petrol .6cc engine, were cable of speeds of 160 km/h. 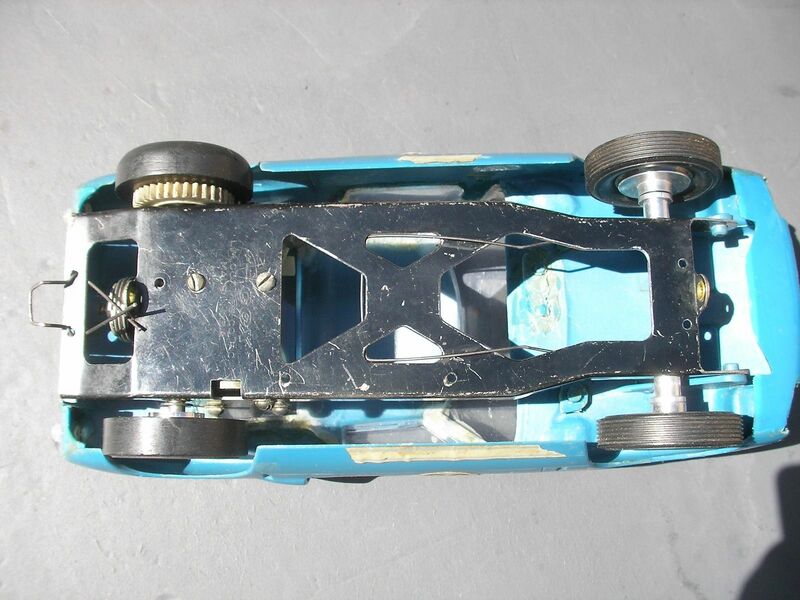 While Roy’s first contribution to that growing hobby was a cast aluminium midget car powered by a .15cc engine produced by Cameron Brothers. 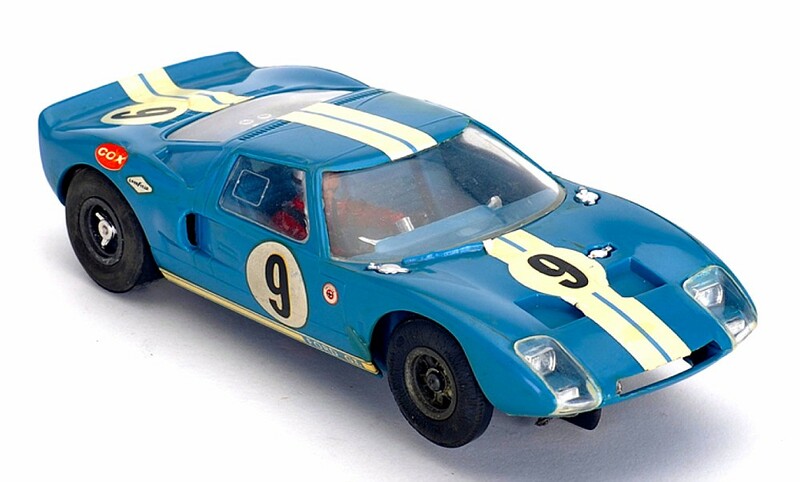 The company enjoyed large post-war growth, finally moving to a new factory in Santa Ana, California, in 1963. 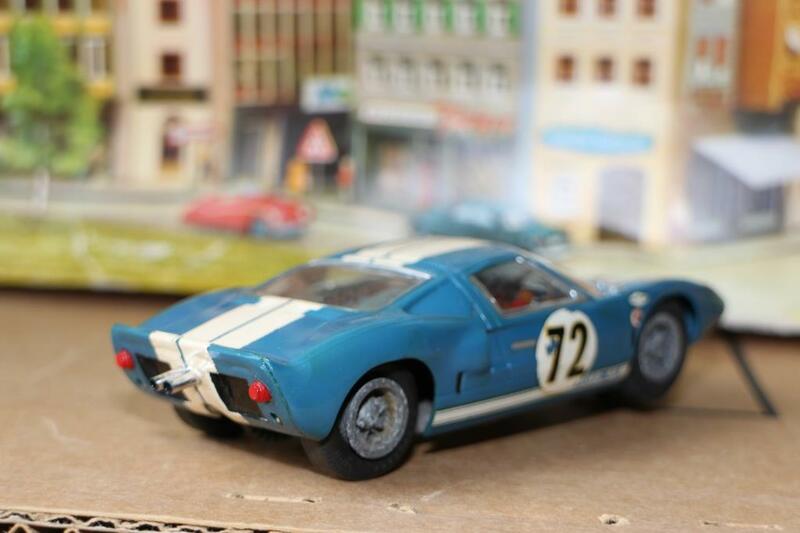 In turn this factory subsequently had three expansions in just a few years' and saw the introduction of other product lines such as slotcars, model rockets, HO scale model trains and a full-sized, one-horsepower gasoline-powered chain saw. 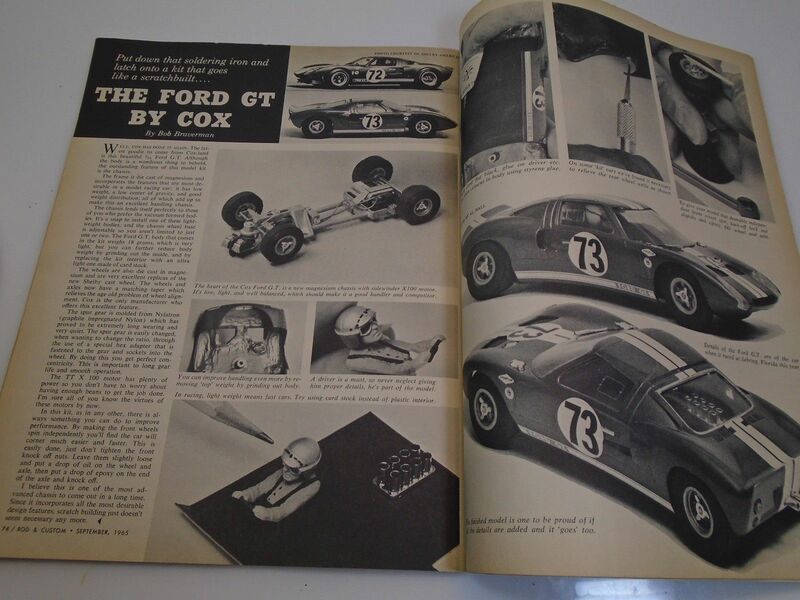 Roy Cox retired in 1969 and sold the company to ‘Leisure Dynamics’. 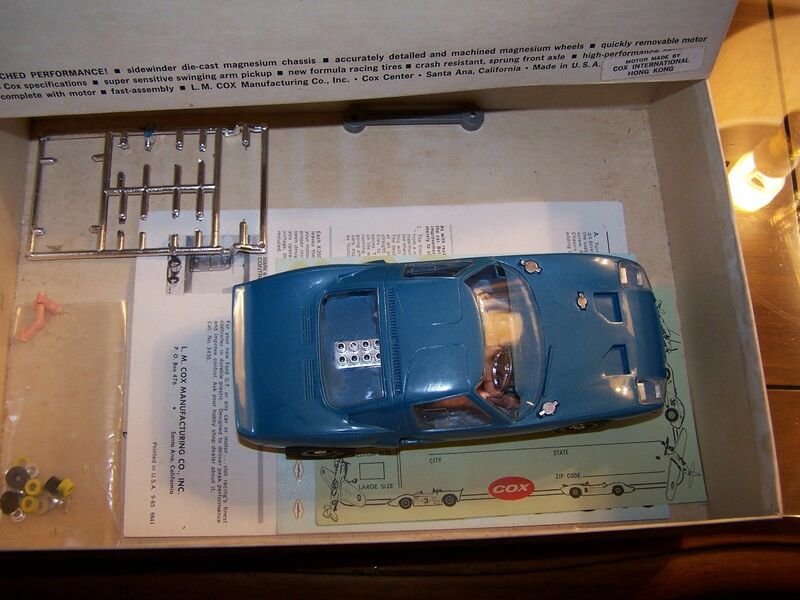 A major step toward participation in the growing radio controlled hobby happened in 76 with the acquisition of the radio manufacturer ‘Airtronics’. 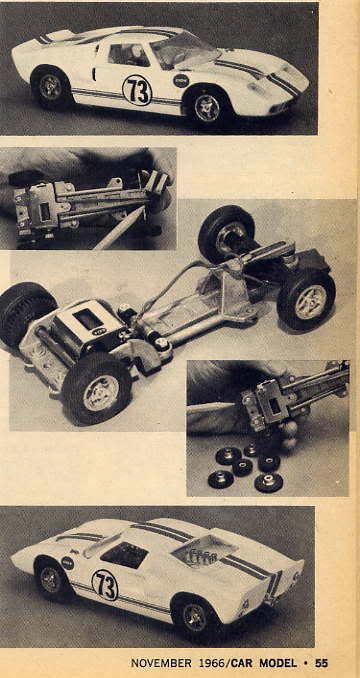 Unfortunately, by 1983, Leisure Dynamics was facing bankruptcy. 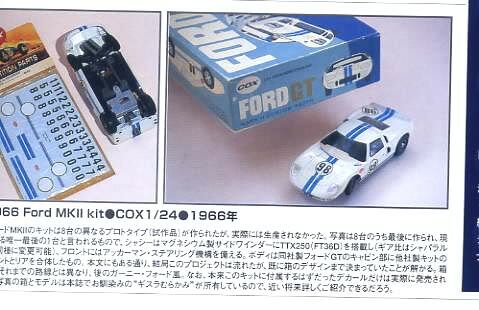 In 1984 the new company, Aeromil Engineering, changed the name of Cox Company to Cox Hobbies, Incorporated. 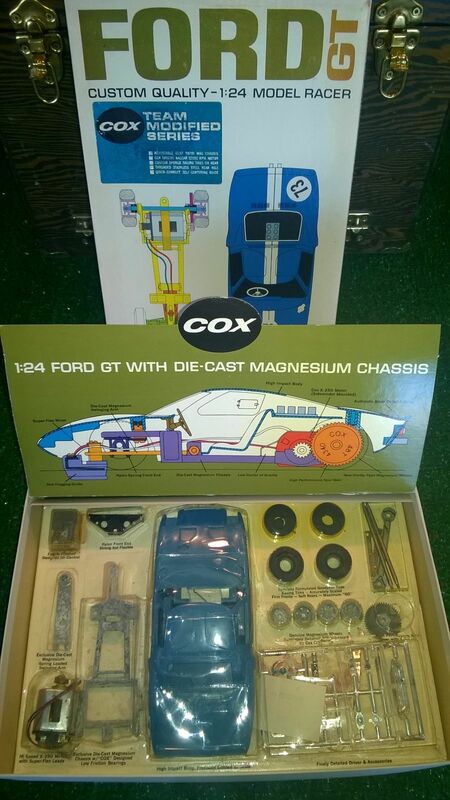 Growth of the company continued and Cox consolidated its factory space into one facility at Corona, California, in 1990. 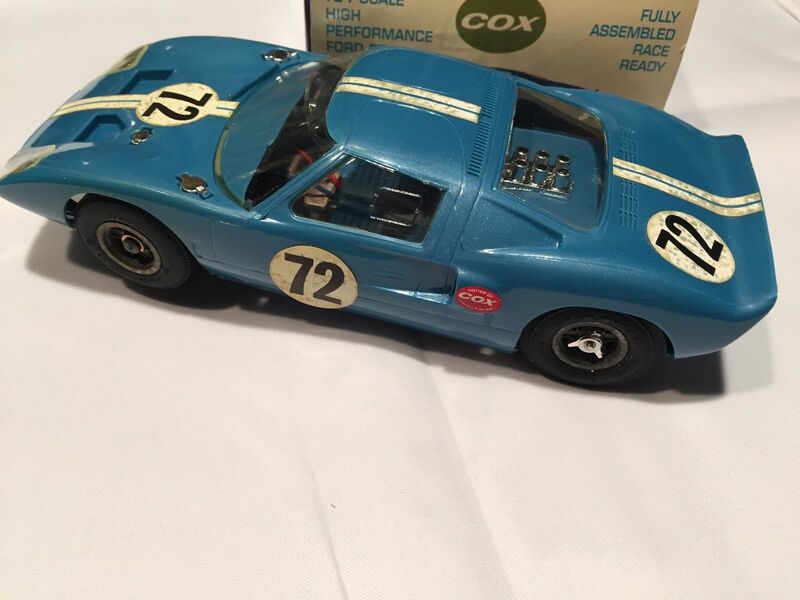 In January 1996, a leading model toy rocket manufacturer, Estes Industries, purchased Cox Hobbies and relocated operations from Southern California to Penrose, Colorado. 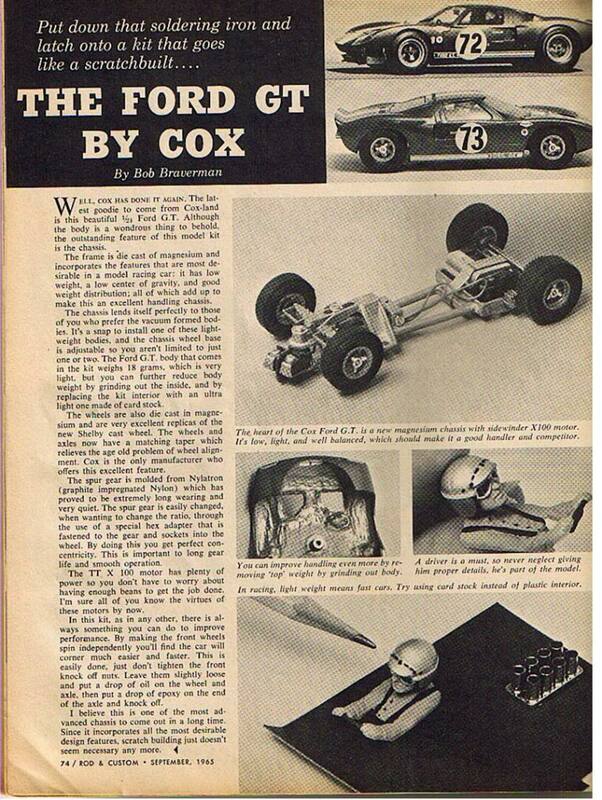 This signalled a major change in marketing direction for the new company, now known as Cox Models. 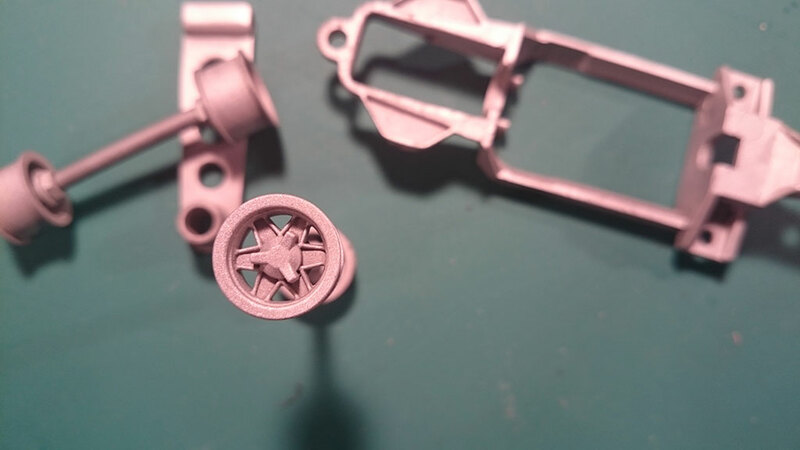 A great many new products were aimed towards a mass market and they were sold in large chain stores and discount stores. 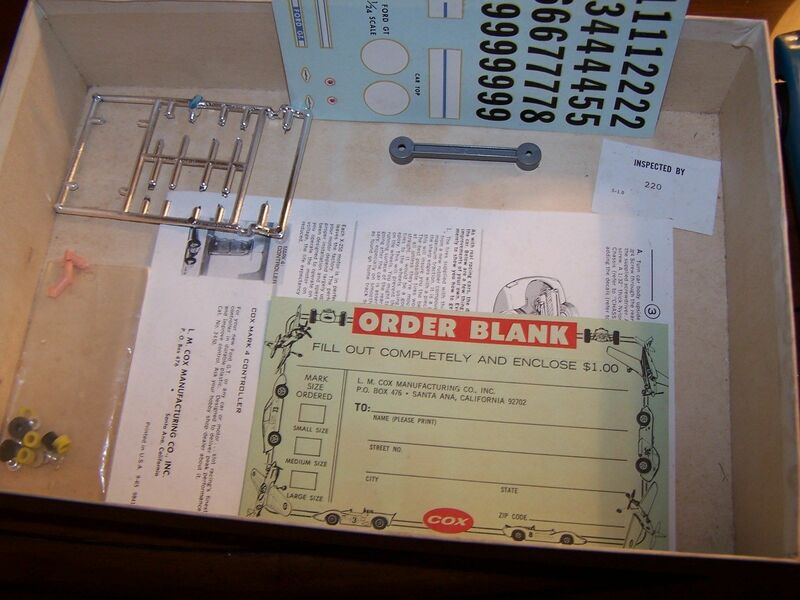 In February 2009 Estes Industries sold all of their remaining old classic Cox stock to several private buyers from the USA and Canada and in January 2010 Estes-Cox Corporation was purchased by Hobbico based in Champaign, Illinois. 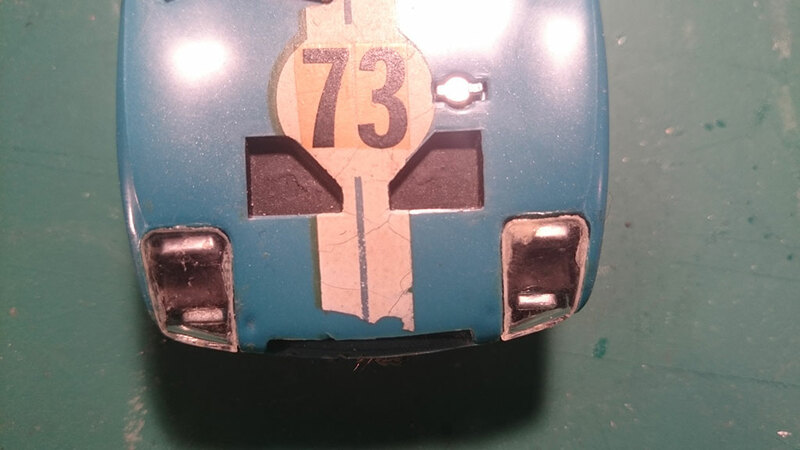 (When written), Hobbico are the official owners of the former Cox name, logo and the Cox Models product line up which consists of three radio controlled electric trainer model airplanes. 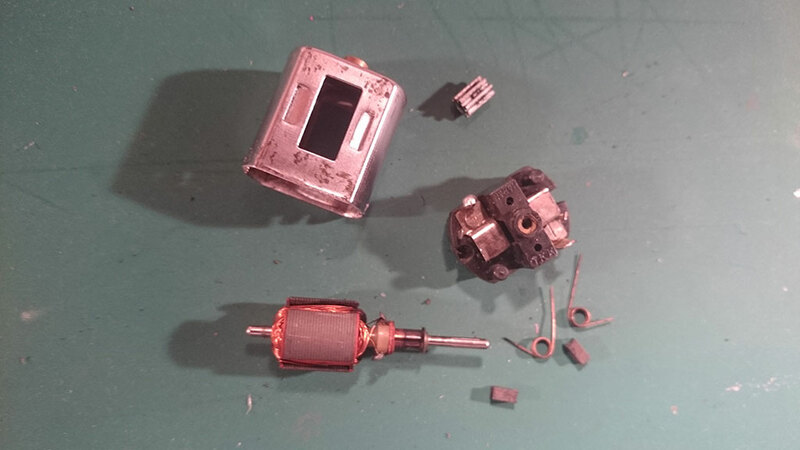 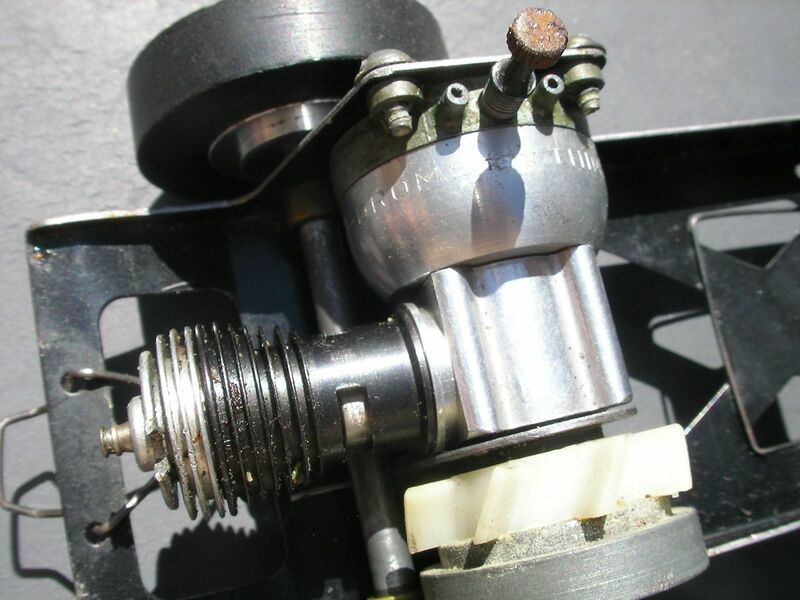 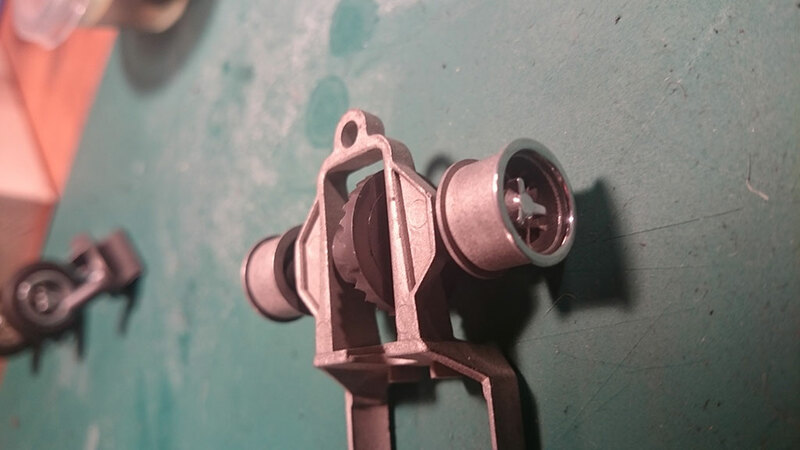 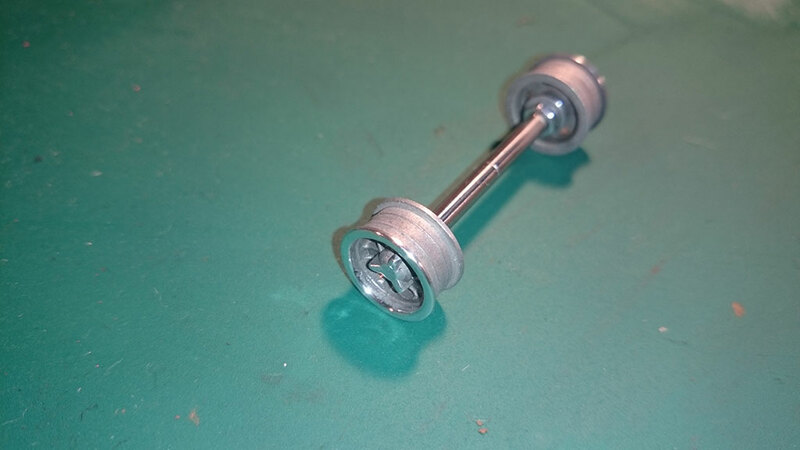 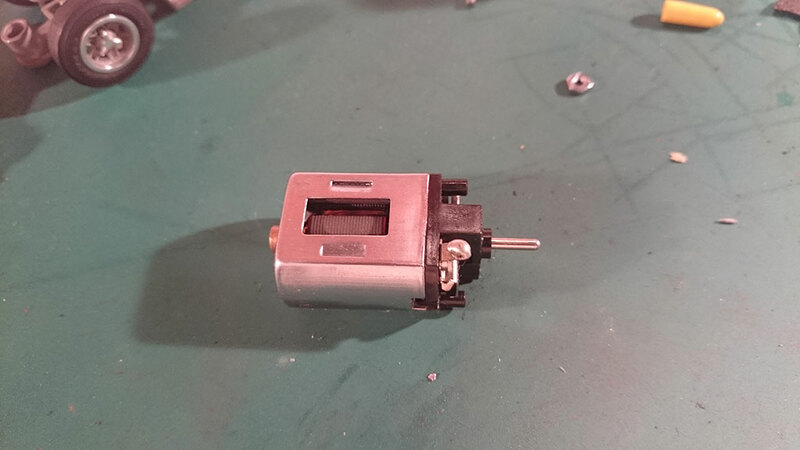 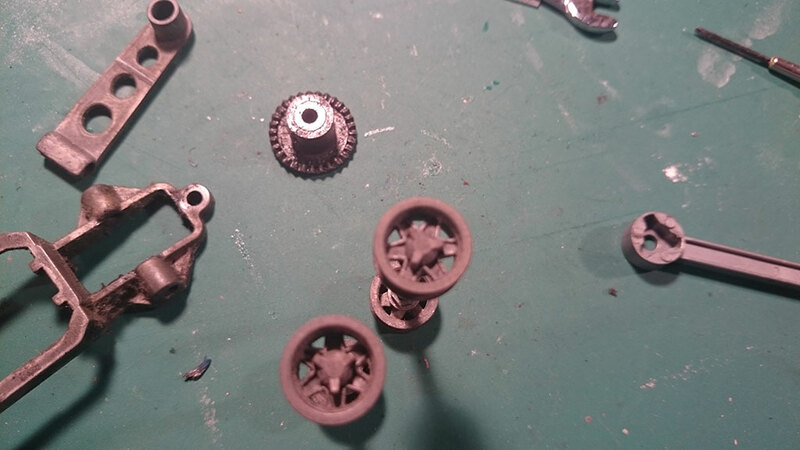 To the present day Cox International continue to revive the original classic Cox brand of miniature aircraft engines as well as introducing new engine versions, reproduction parts, spare parts and accessories. 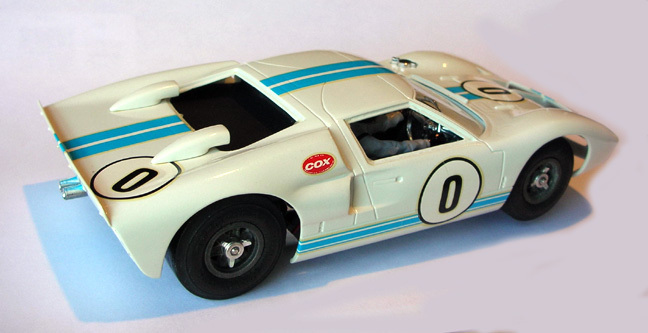 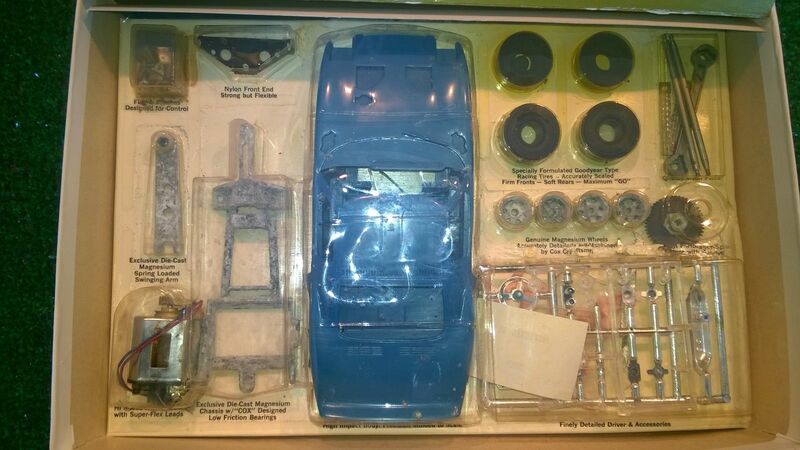 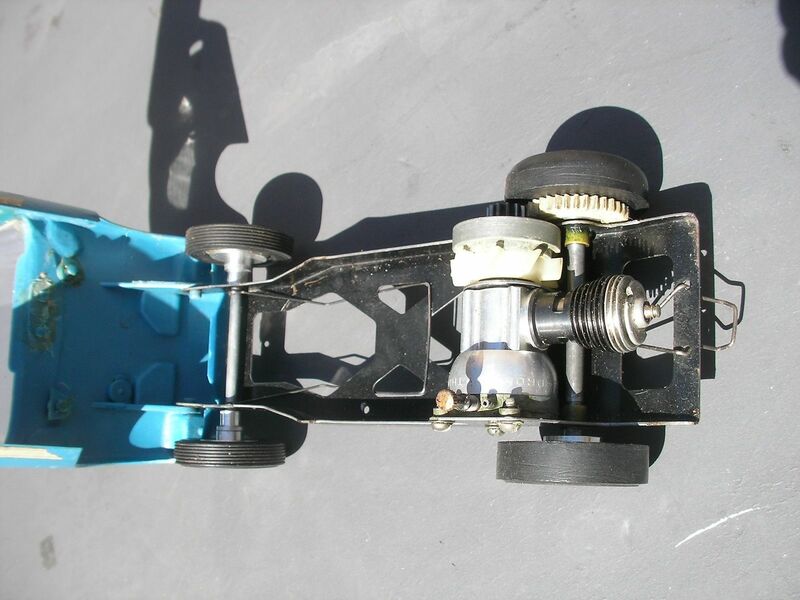 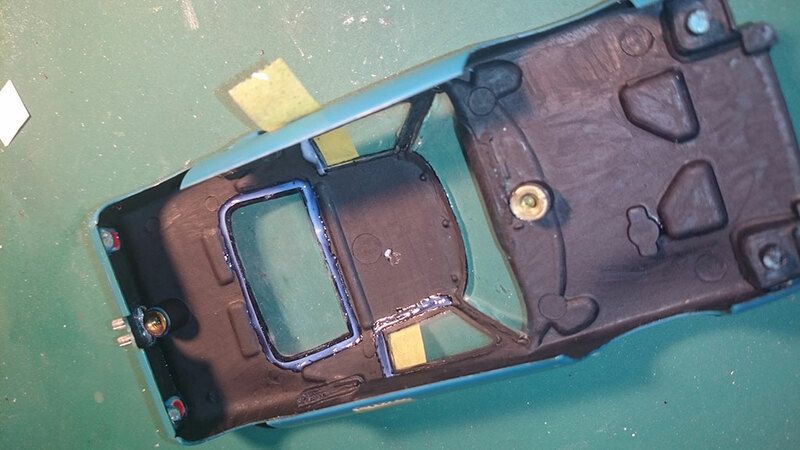 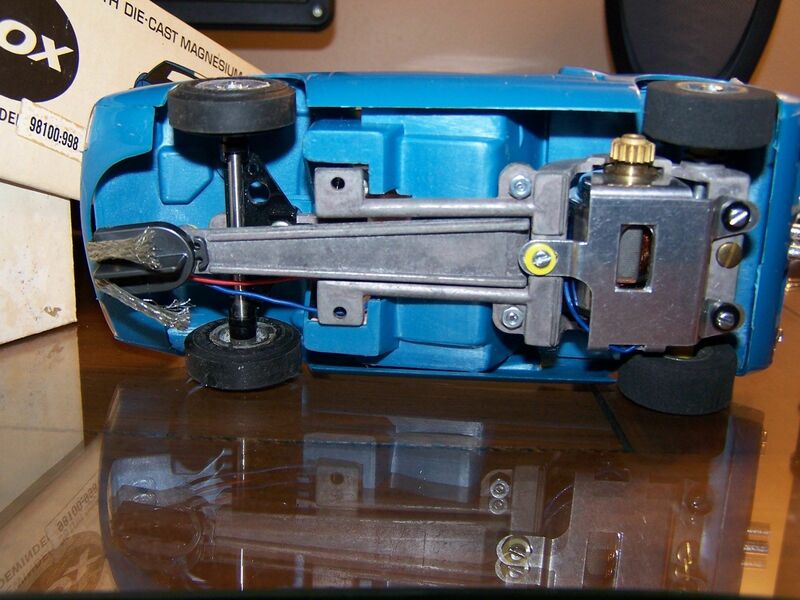 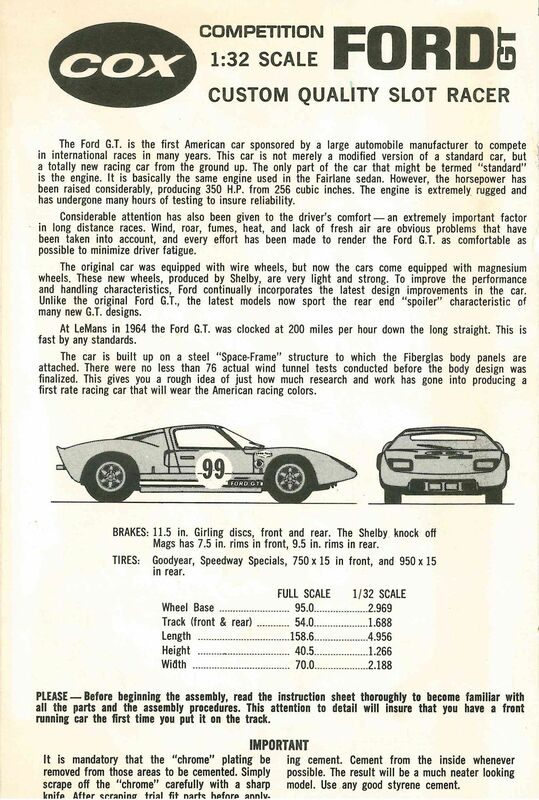 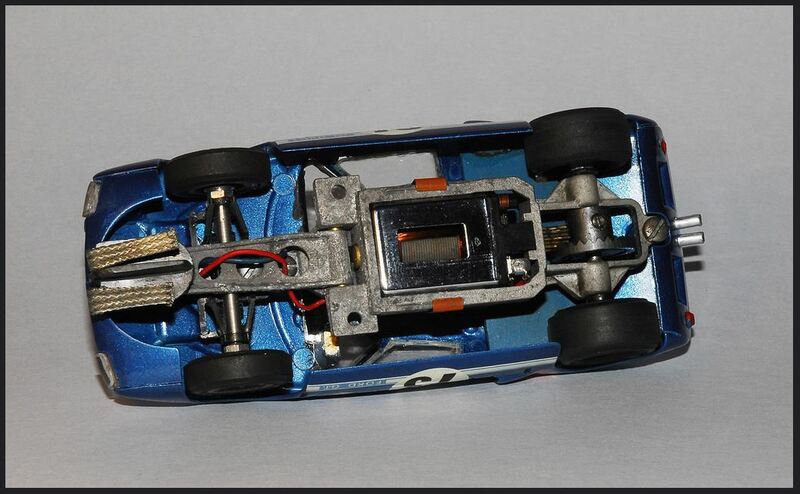 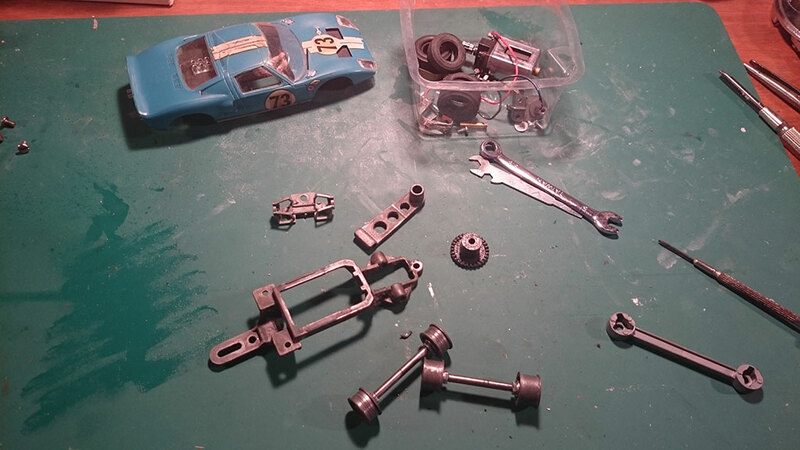 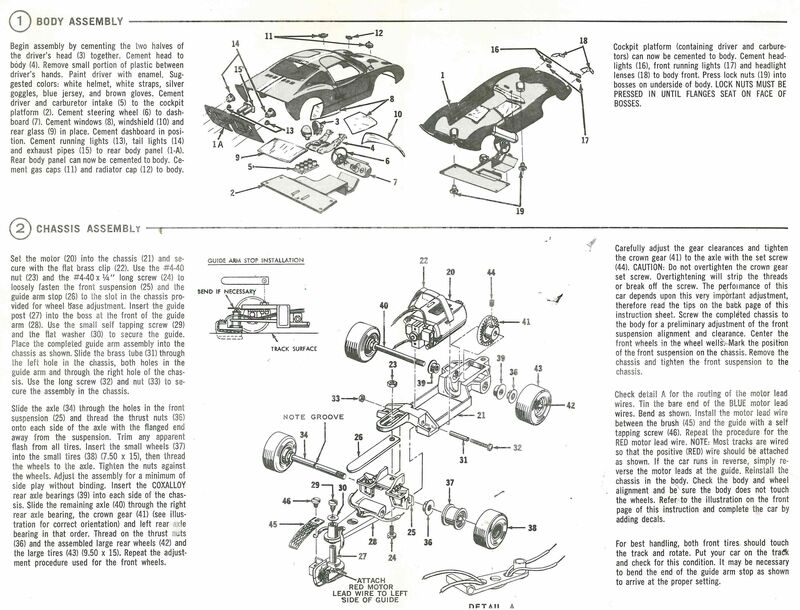 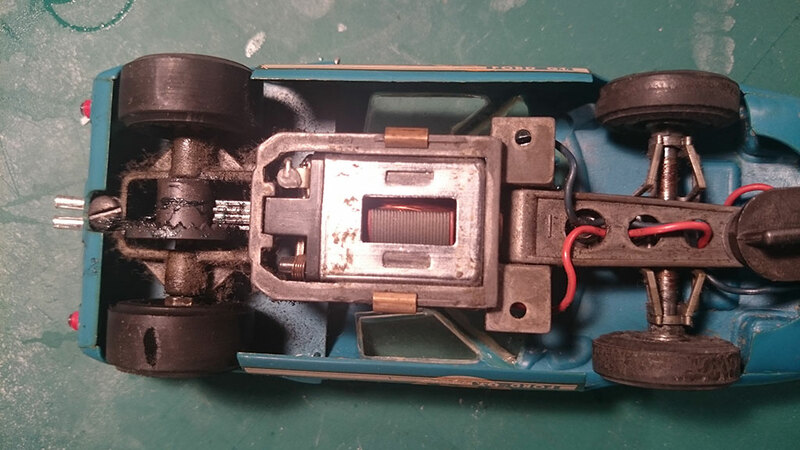 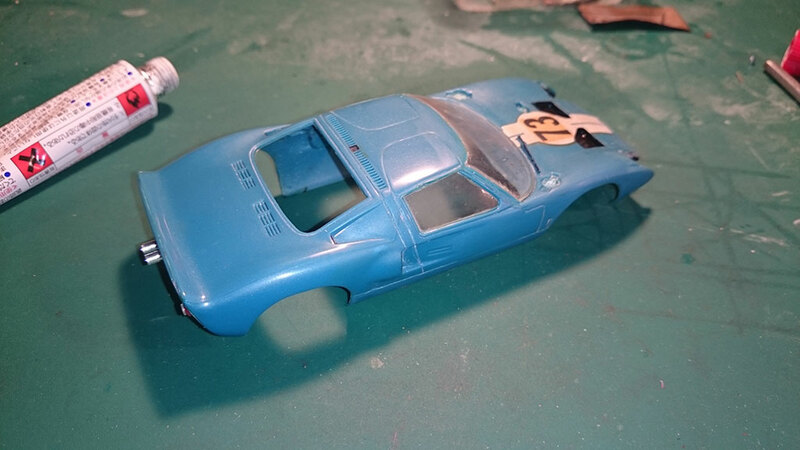 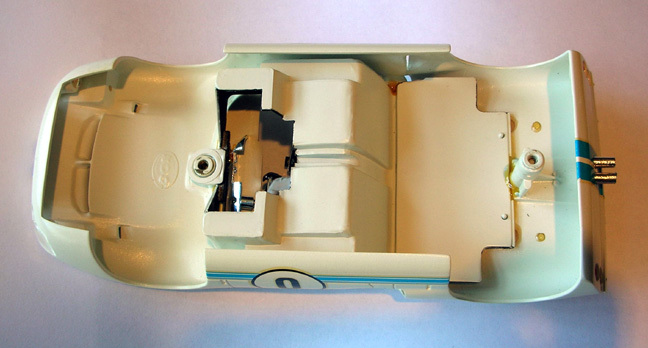 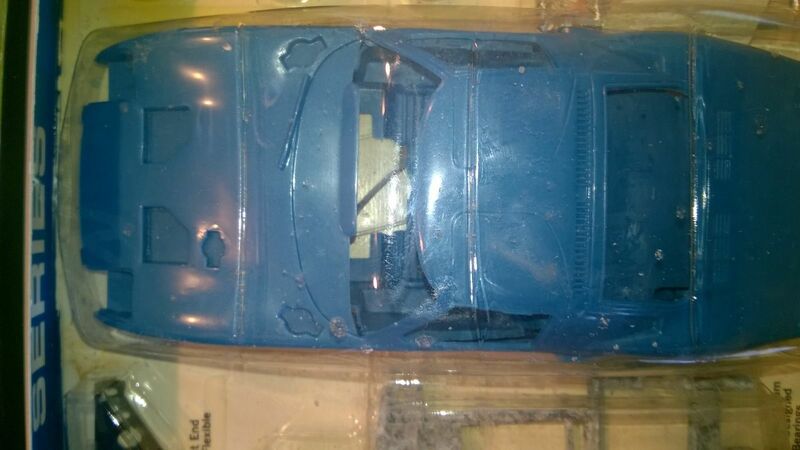 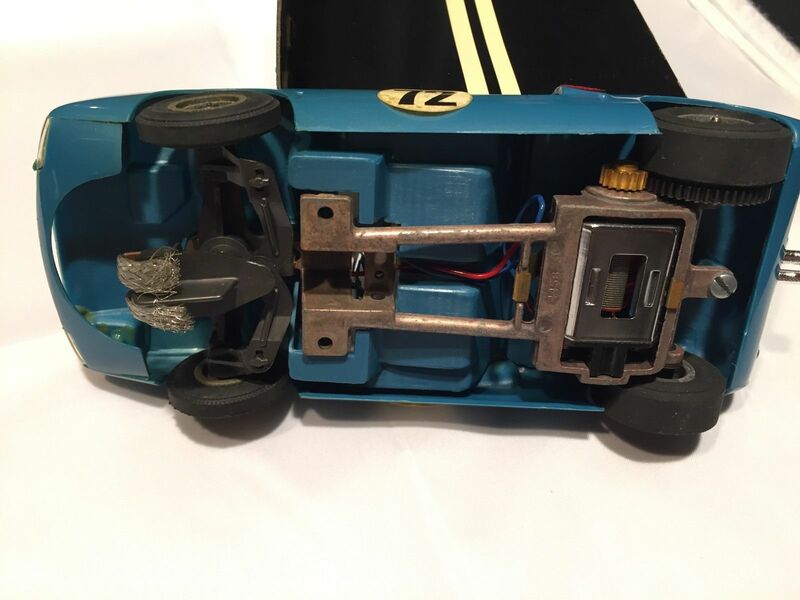 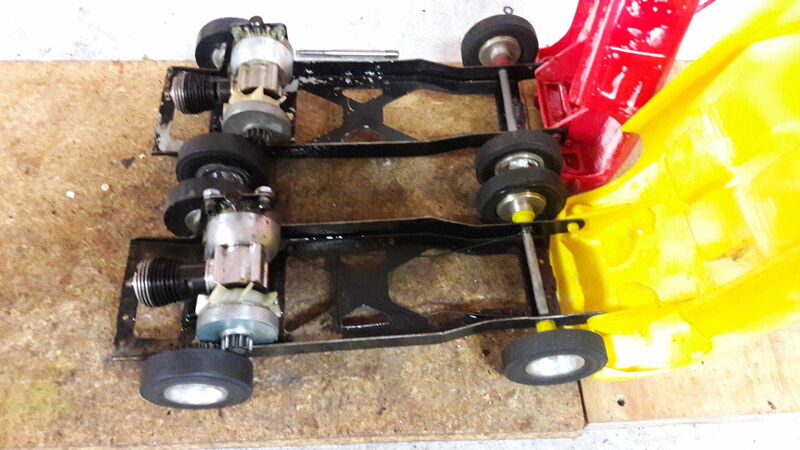 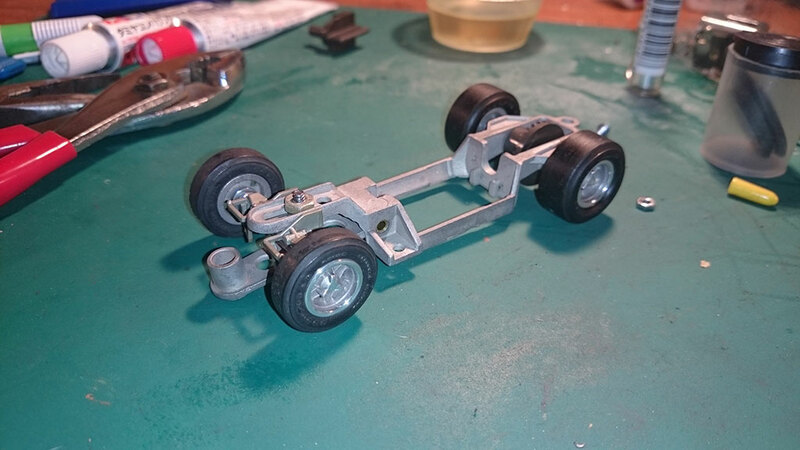 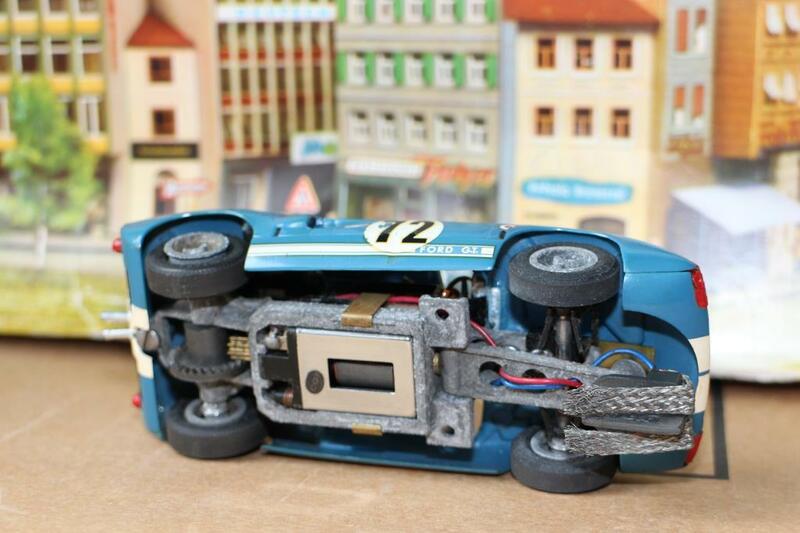 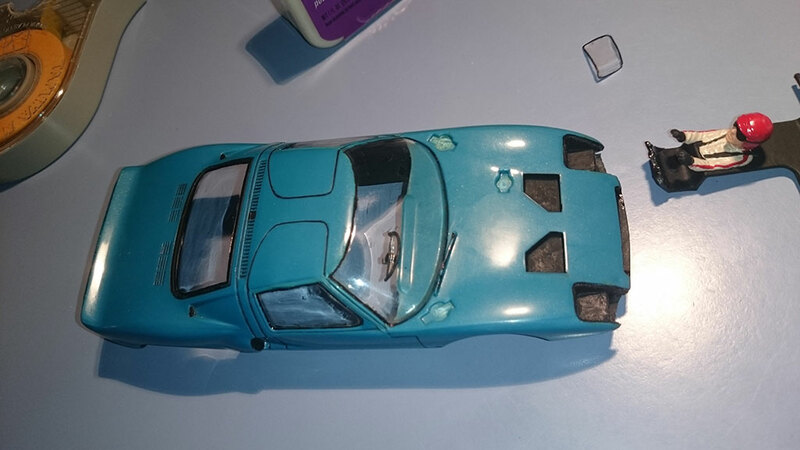 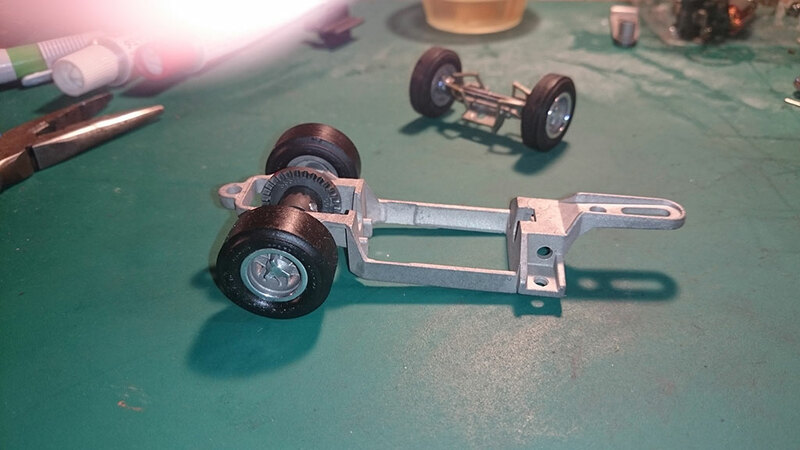 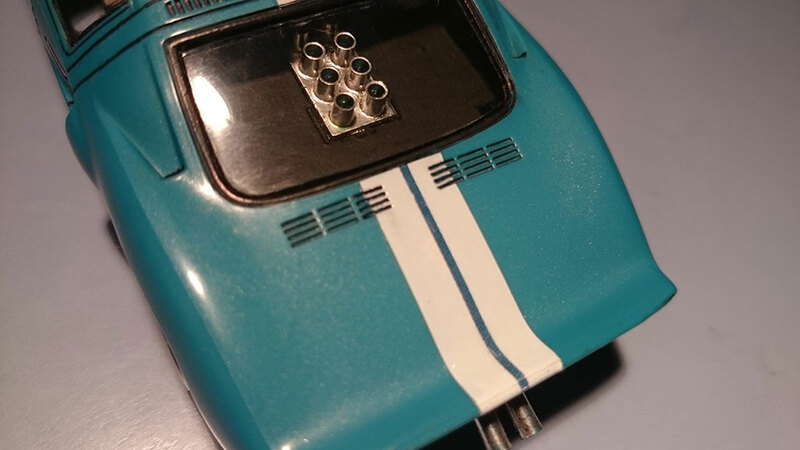 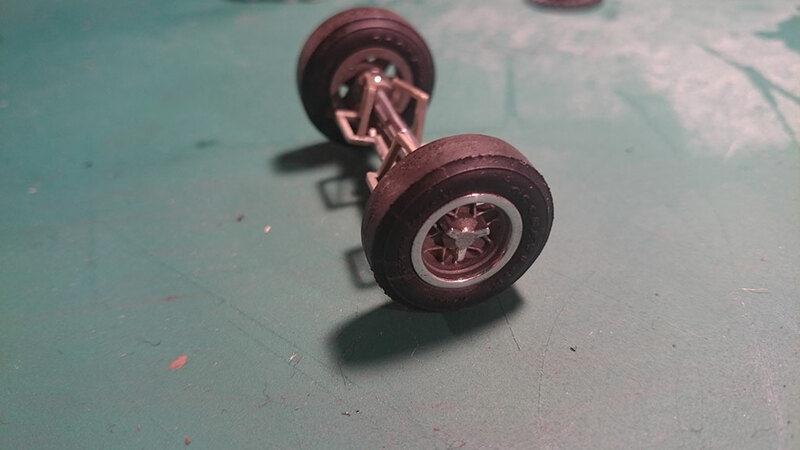 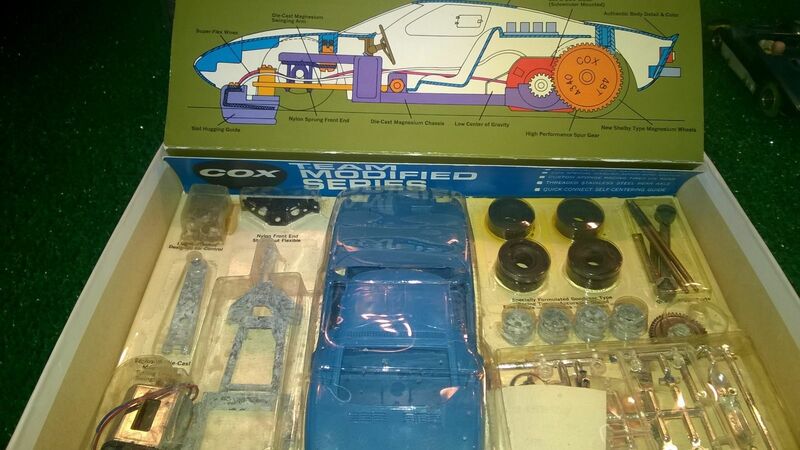 In 1964 Cox joined the slotcar business with a few high quality kits initially featuring die cast magnesium chassis. 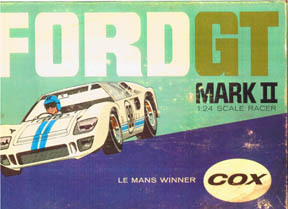 With their box art and attention to detail they soon became very popular and are now very sought-after by collectors. 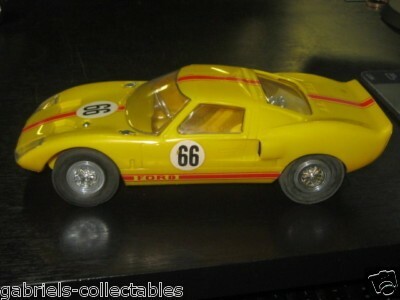 The Ferrari 158 F1 assembled in Hong Kong for Cox was the first RTR model marketed by the company. 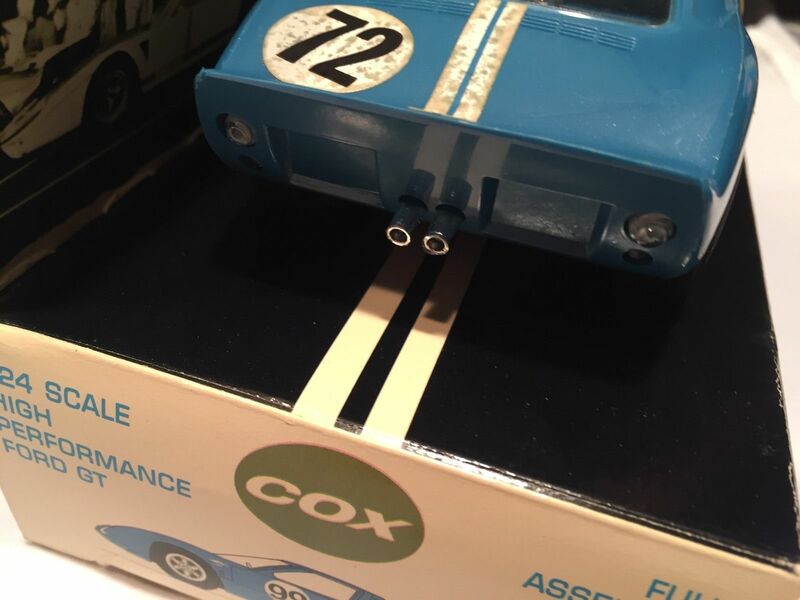 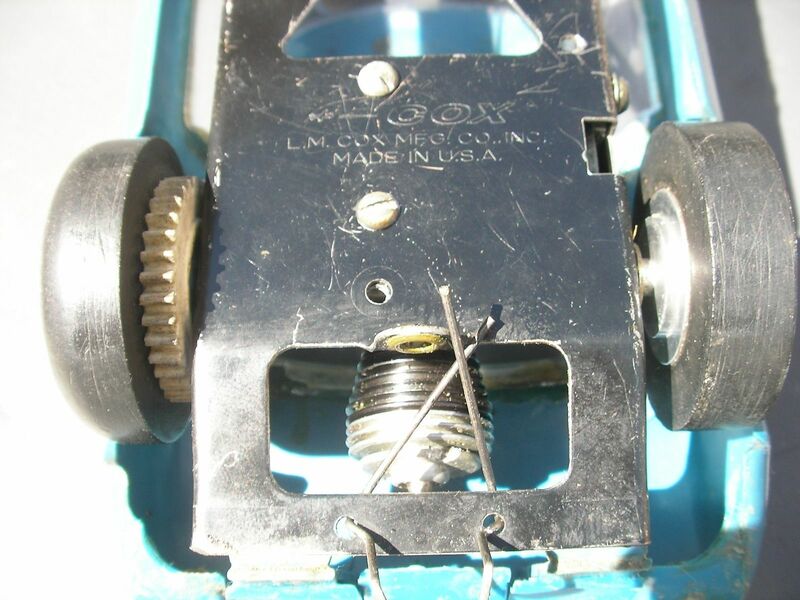 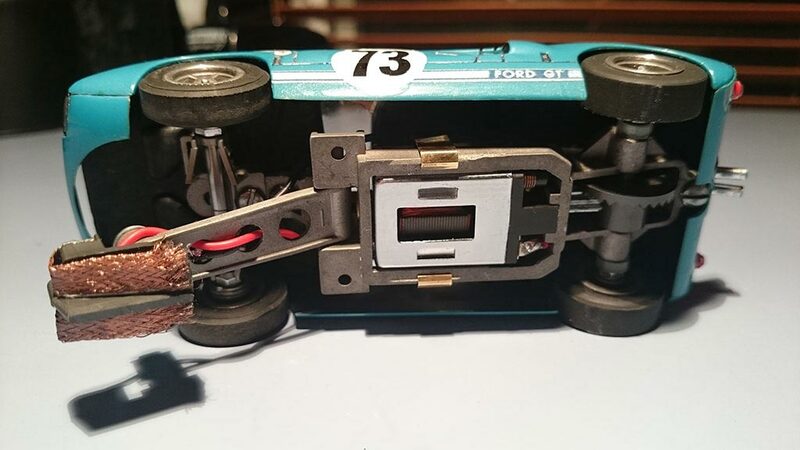 When Cox issued the orange low-slung slotcar known as ‘La Cucaracha’, it created a small revolution in the slotcar world, the car was quick and out-handled most of its competitors. 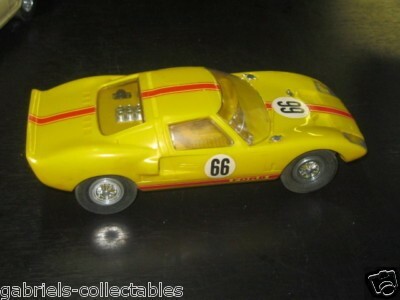 However, it is still the Can-Am Chaparral which is what the company was most famous for. 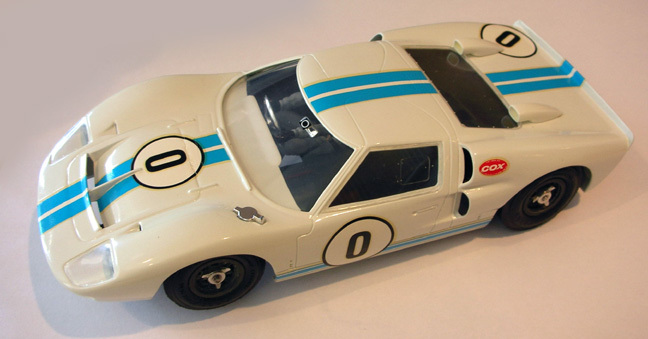 In 1965 they would sign a sponsorship deal with Jim Hall's Chaparral sports car team, which would carry the new slotcar manufacturer's famous red emblem on all future race cars during the season.